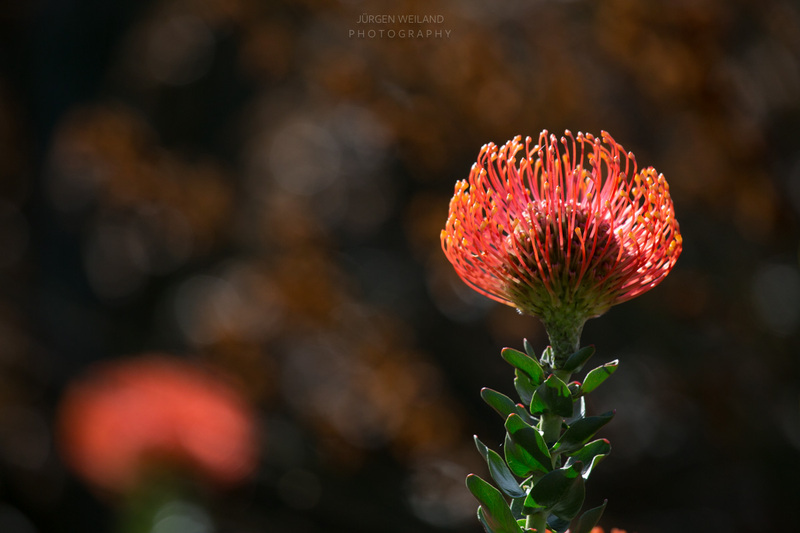 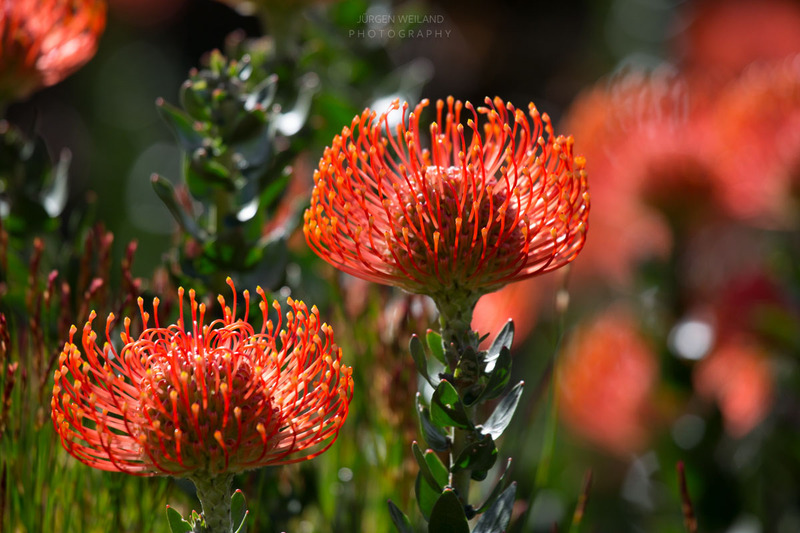 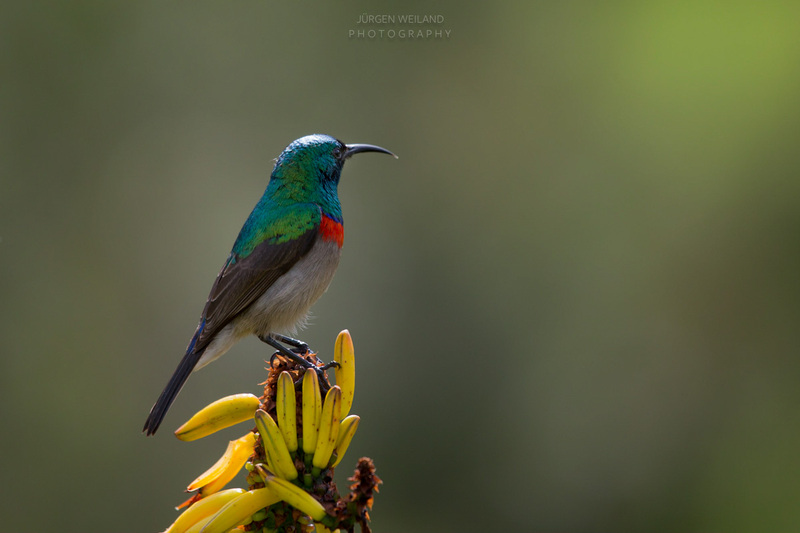 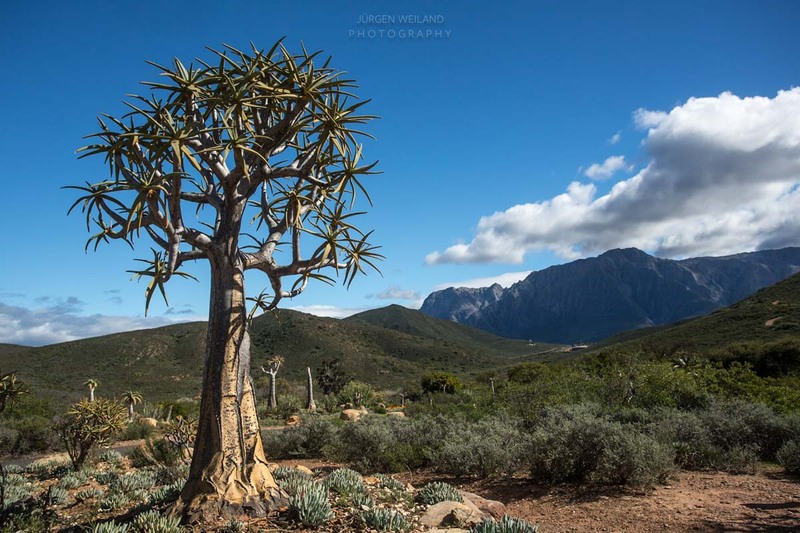 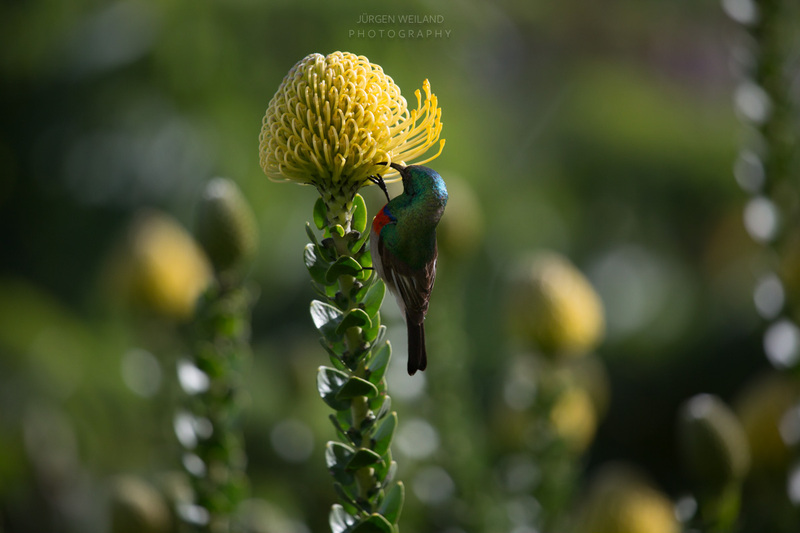 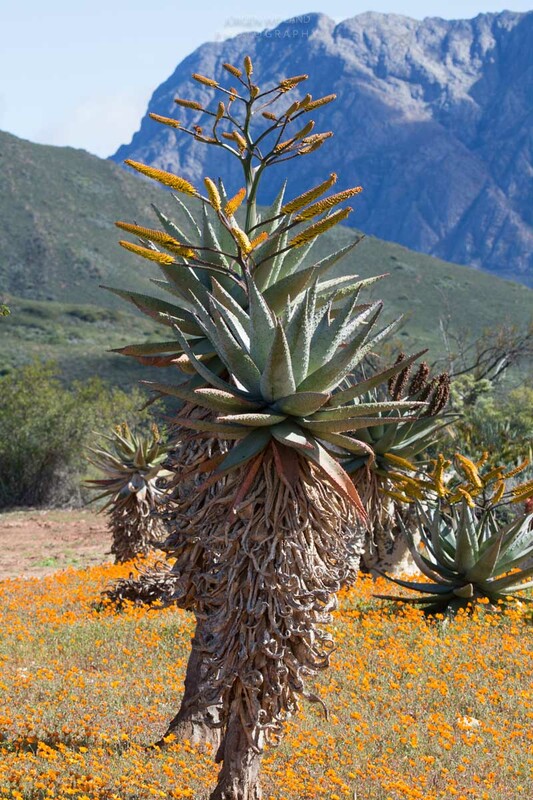 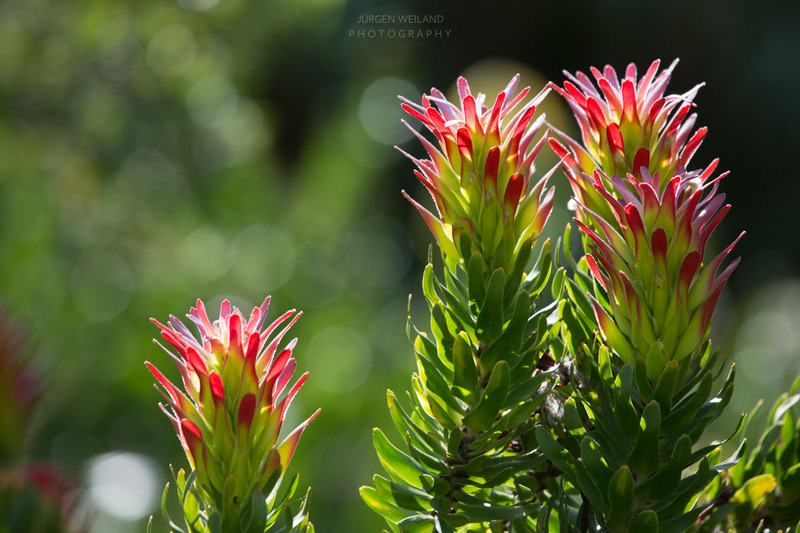 The proteas were simply overpowering, along with the sun- and sugarbirds, a beauty which is unique. 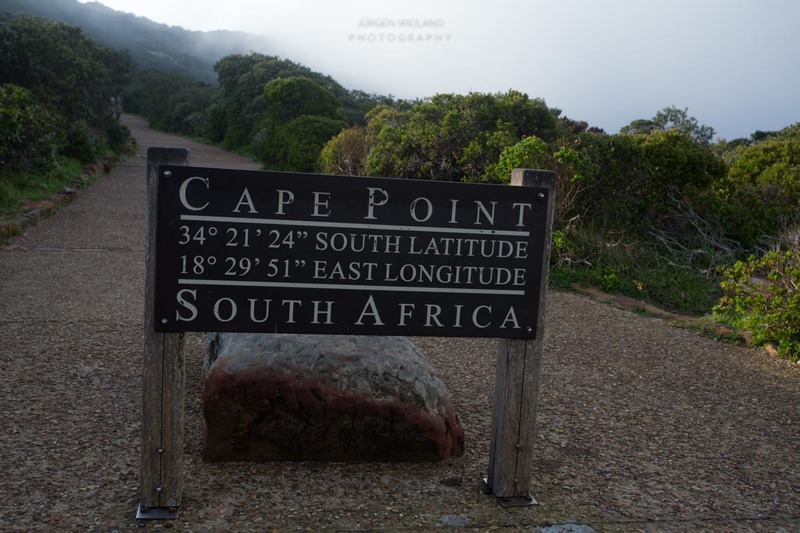 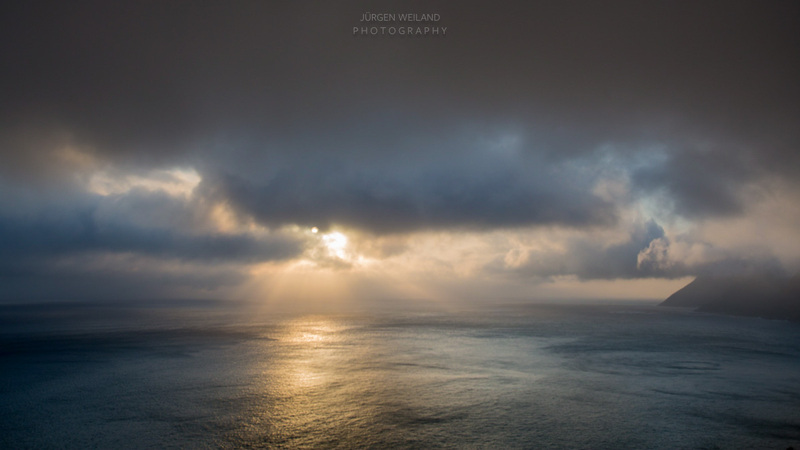 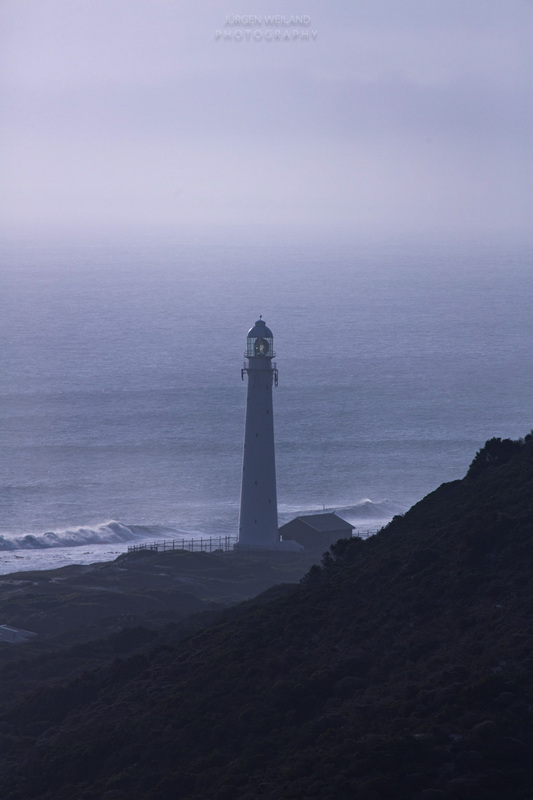 According to the weather forecast, a sunny day was promised but when I arrived at Cape Point it was mostly misty. 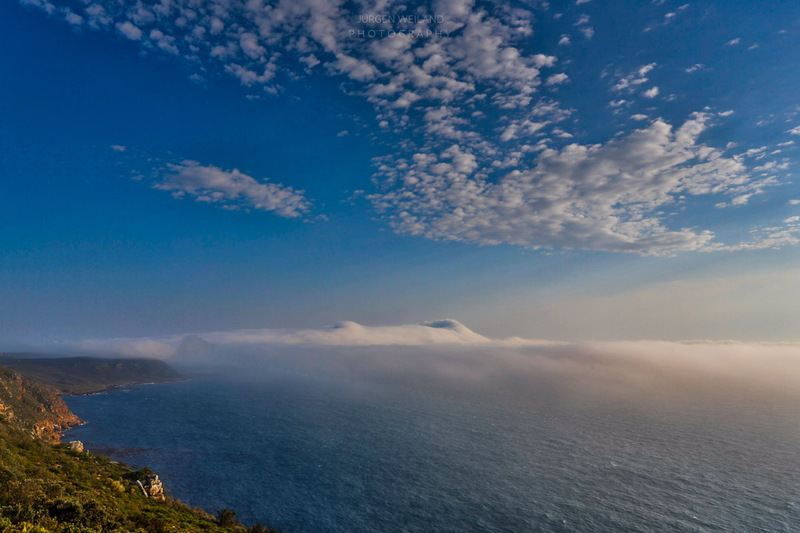 There were only a few moments where the sun found her way through the thick mist. 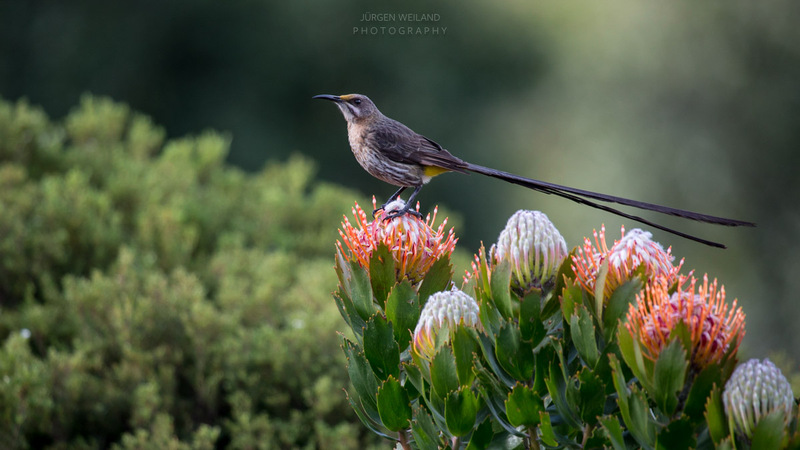 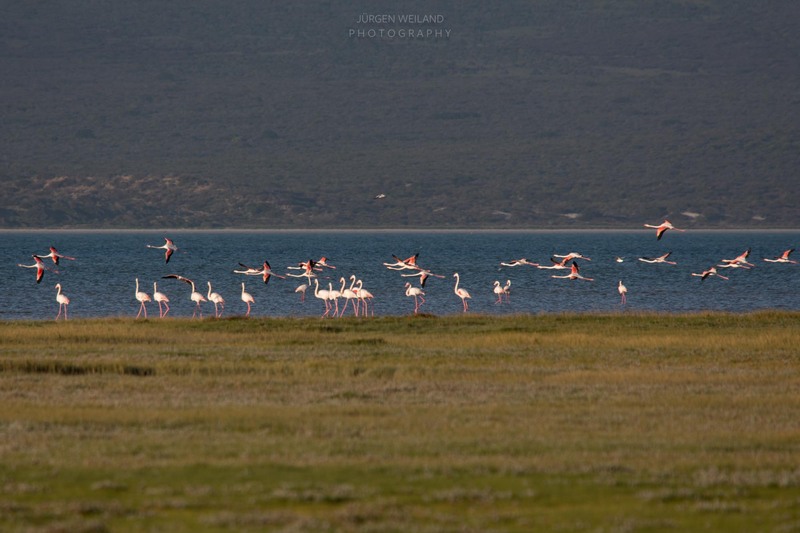 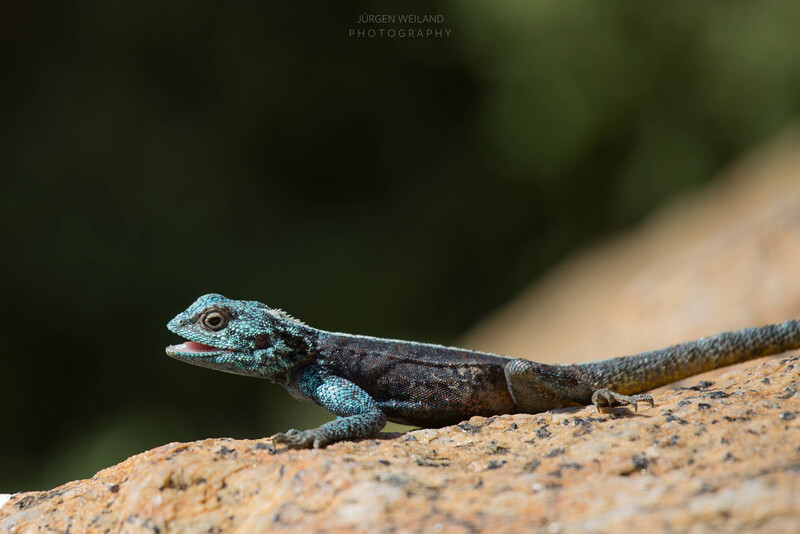 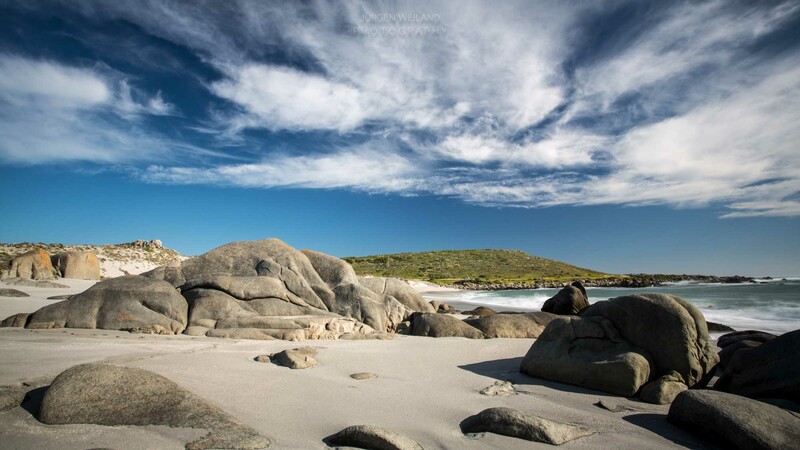 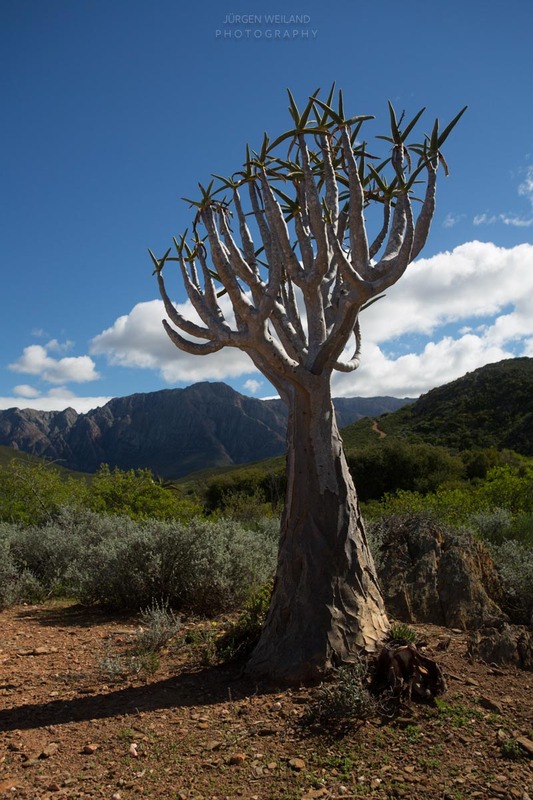 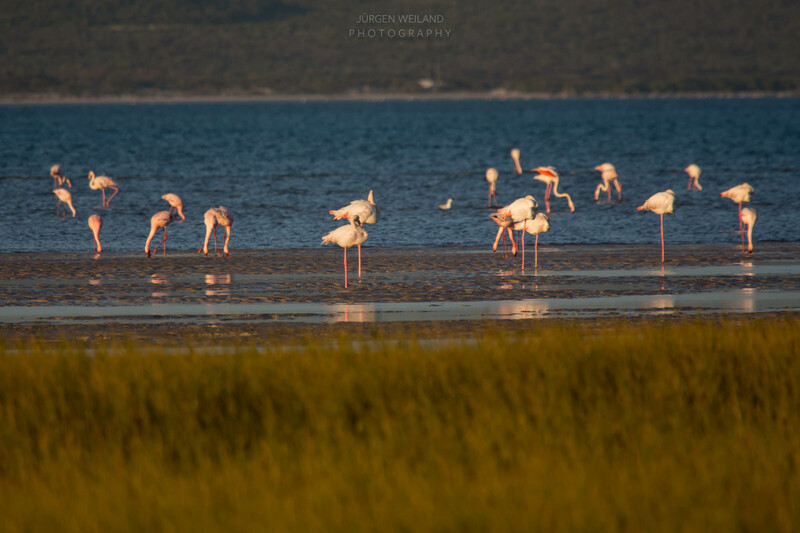 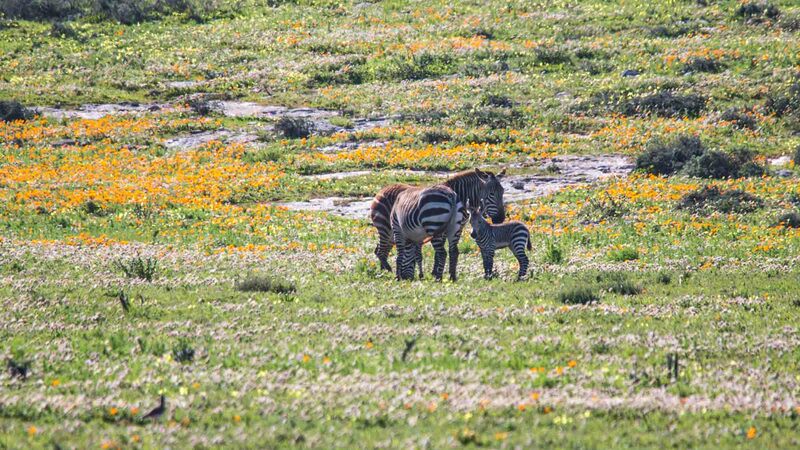 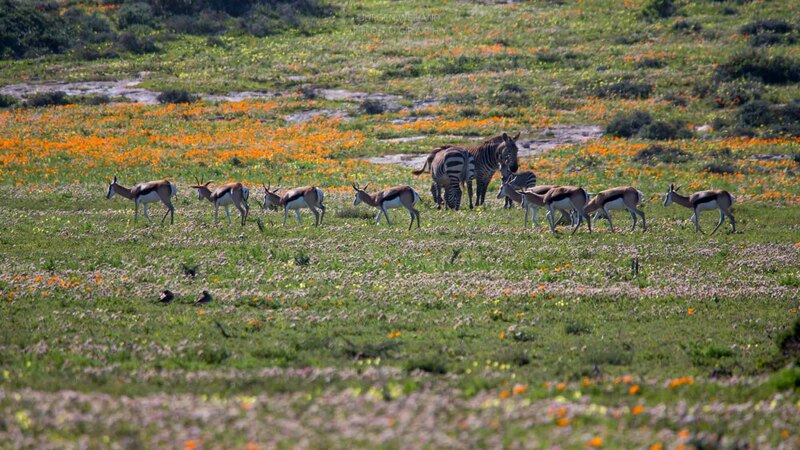 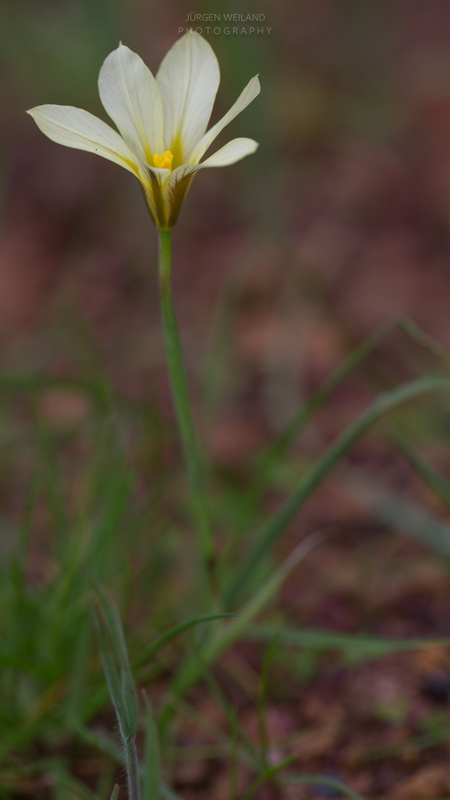 Anyway, the air was moist and it gave me a real impression, to which conditions the flora and fauna at Cape Point are exposed and how they manage to survive. 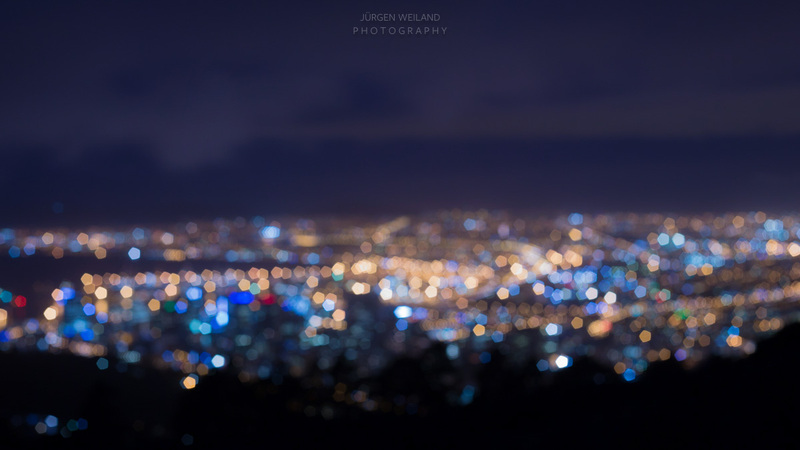 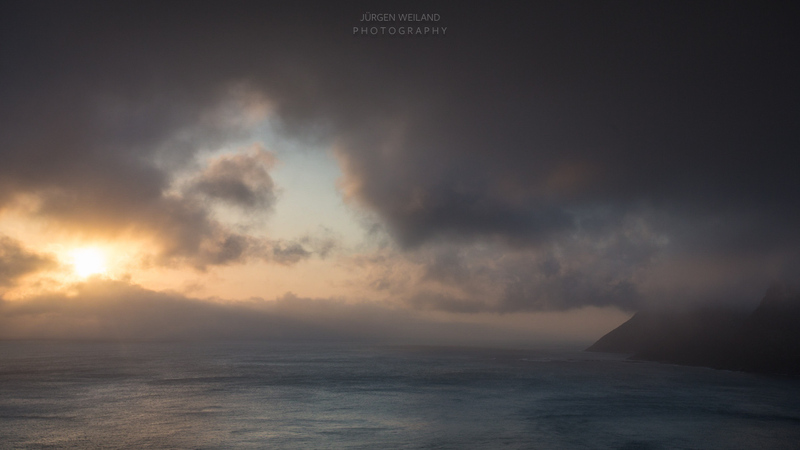 Image above: one of the few moments where the mist wasn’t there. 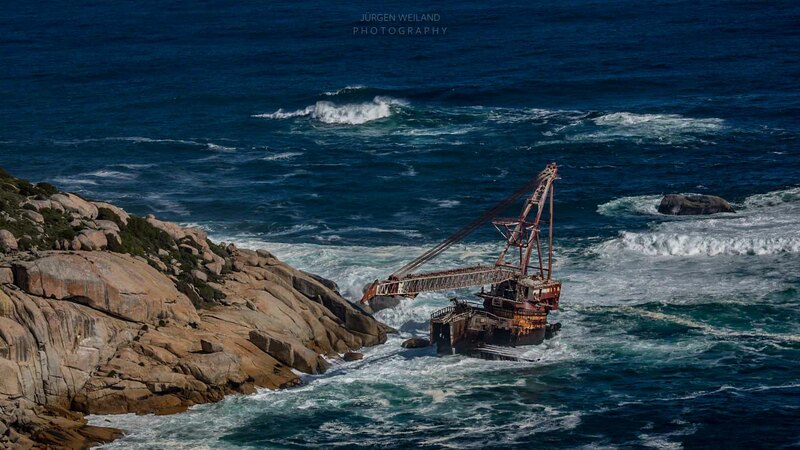 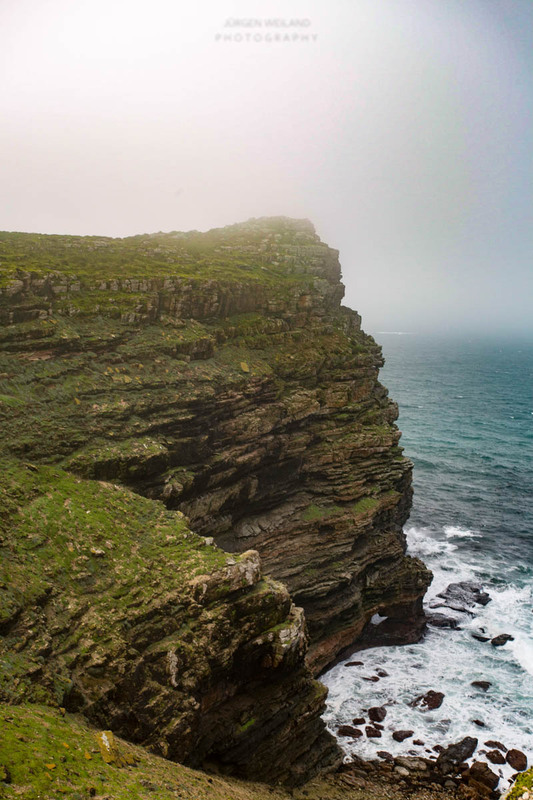 Steep coasts at the Cape of Good Hope. 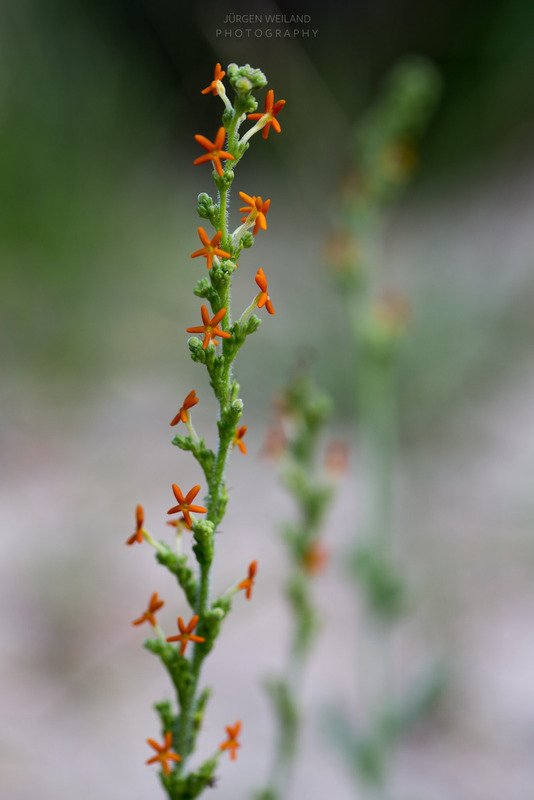 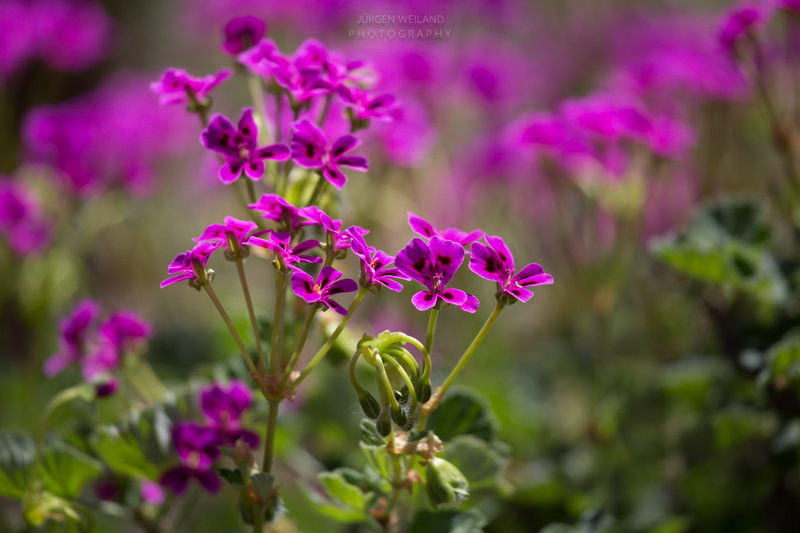 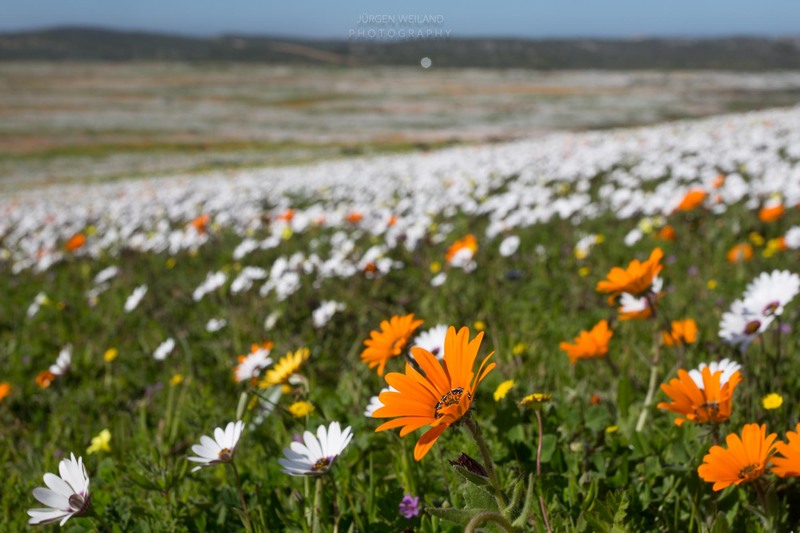 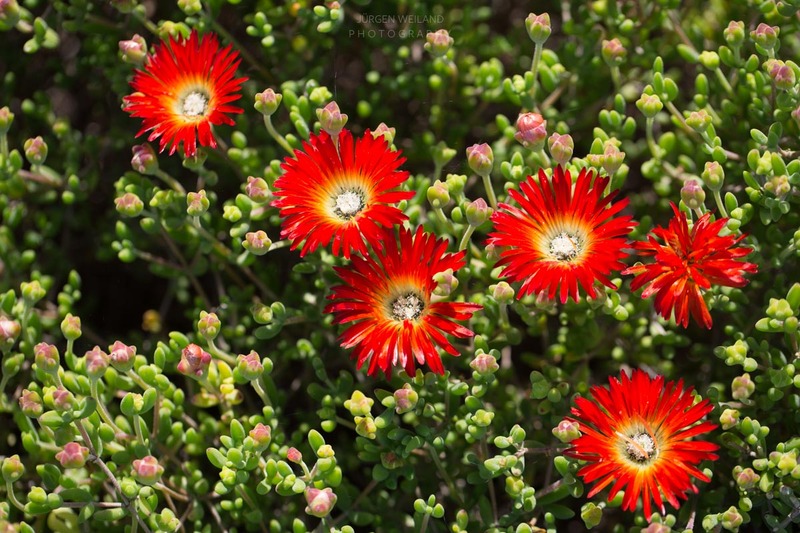 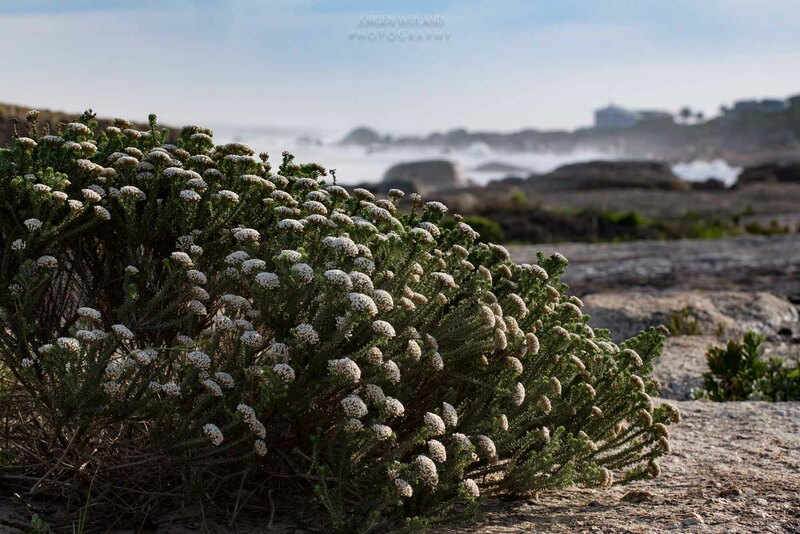 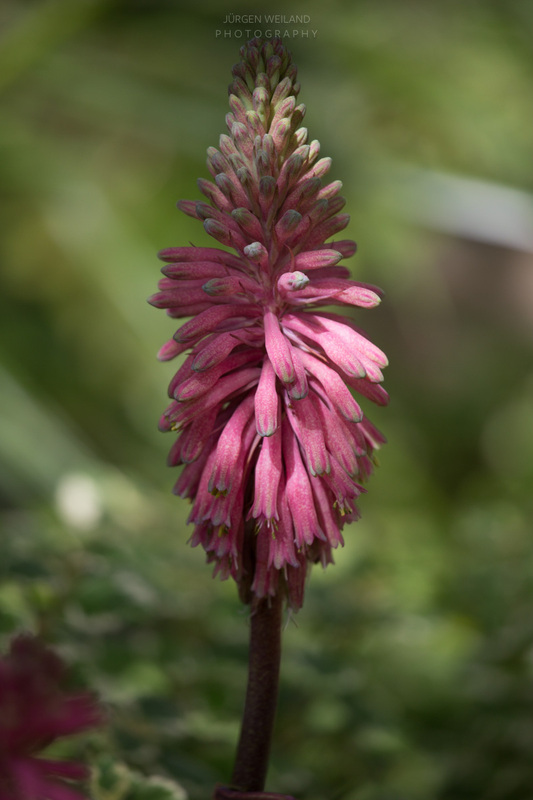 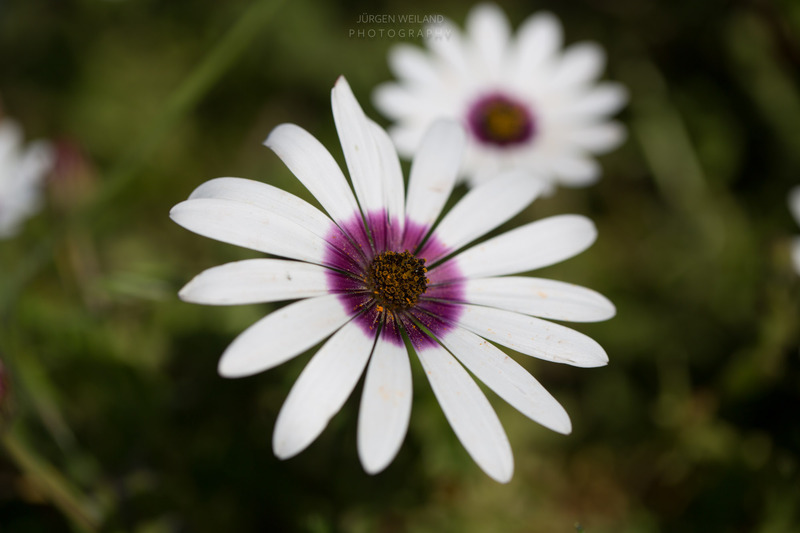 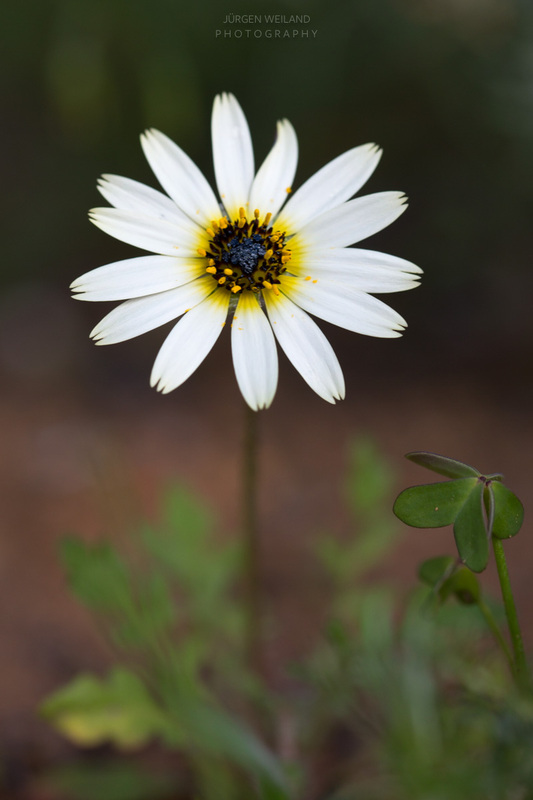 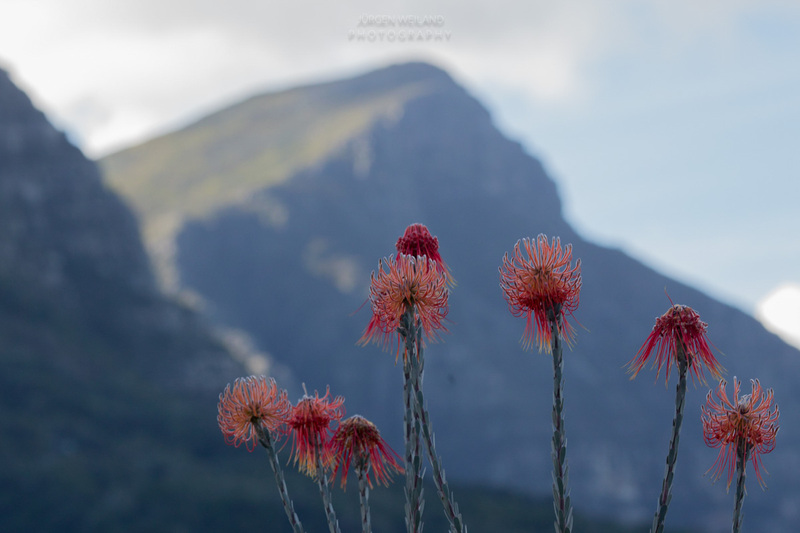 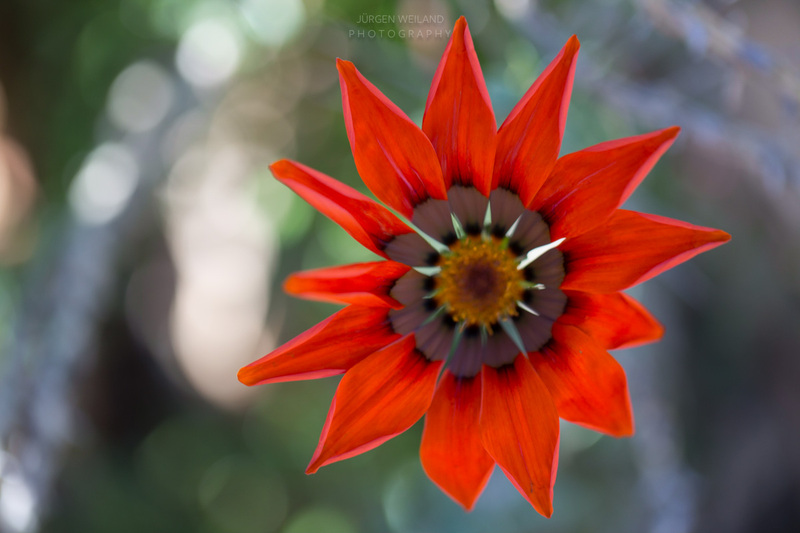 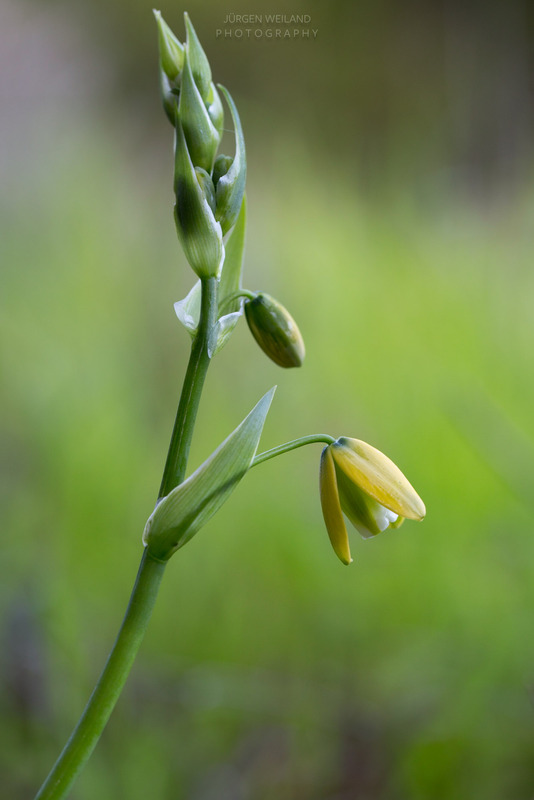 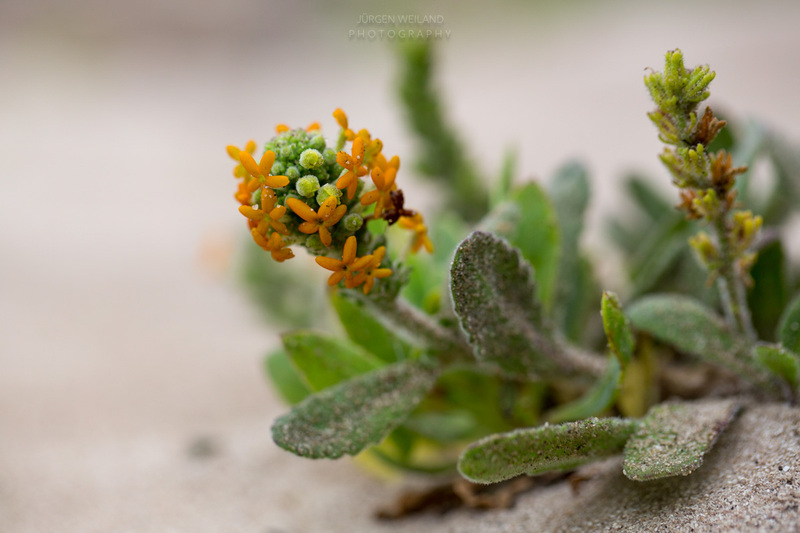 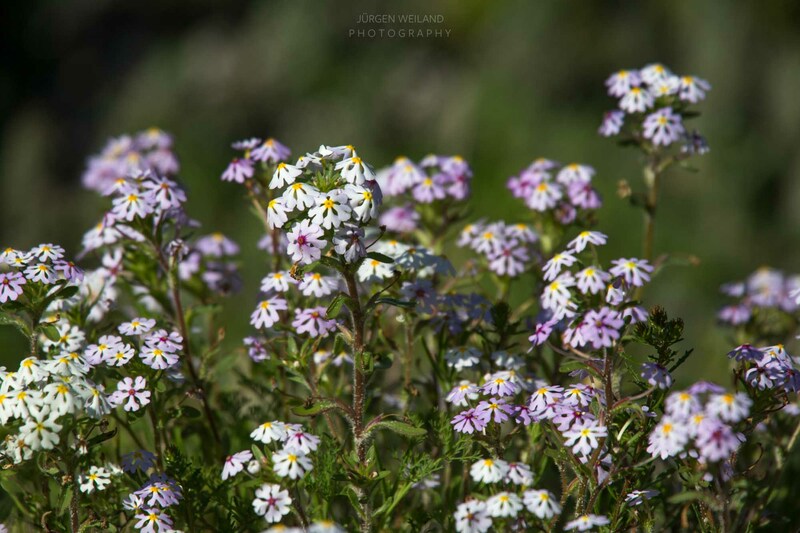 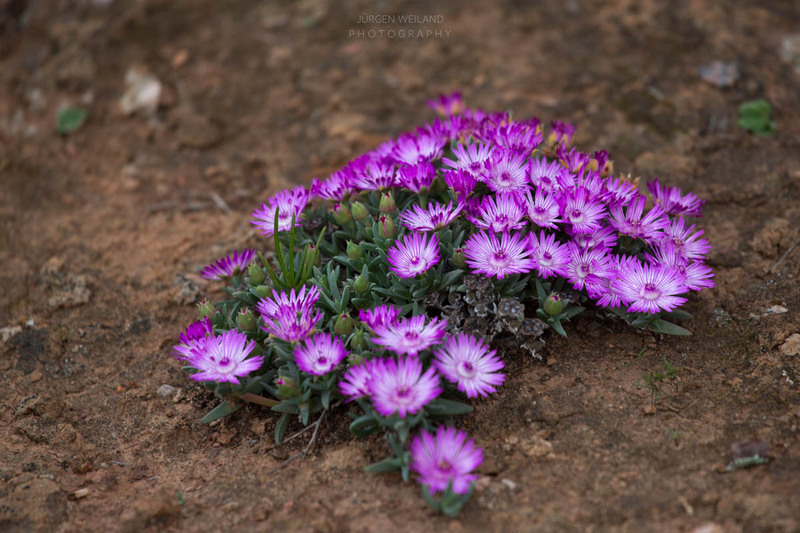 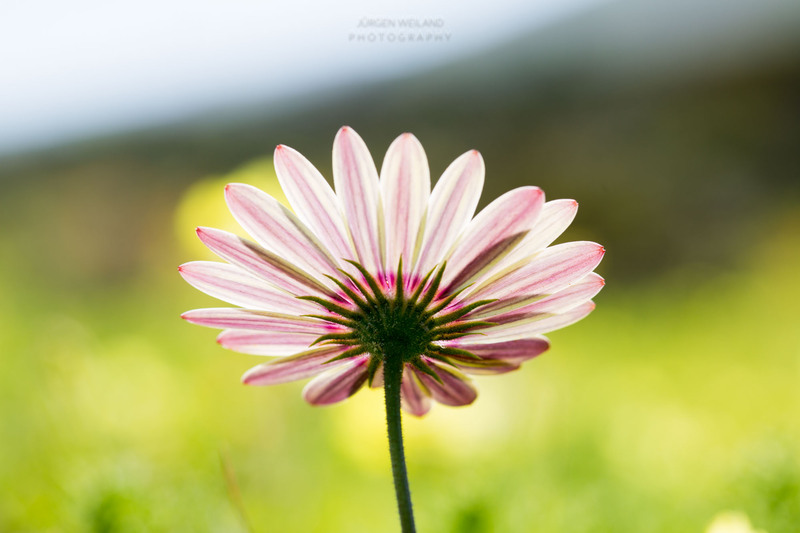 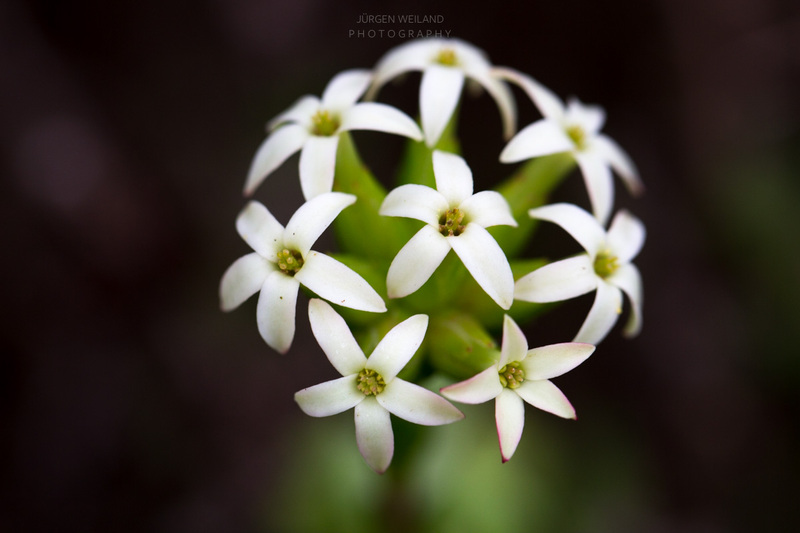 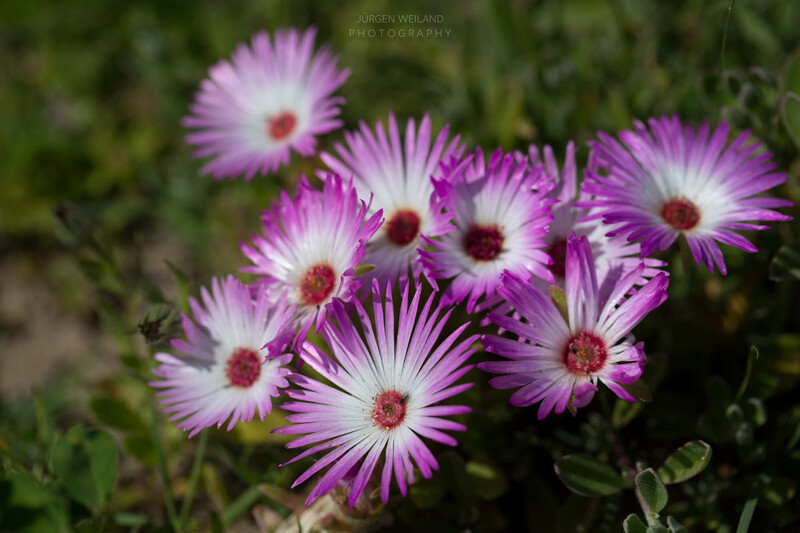 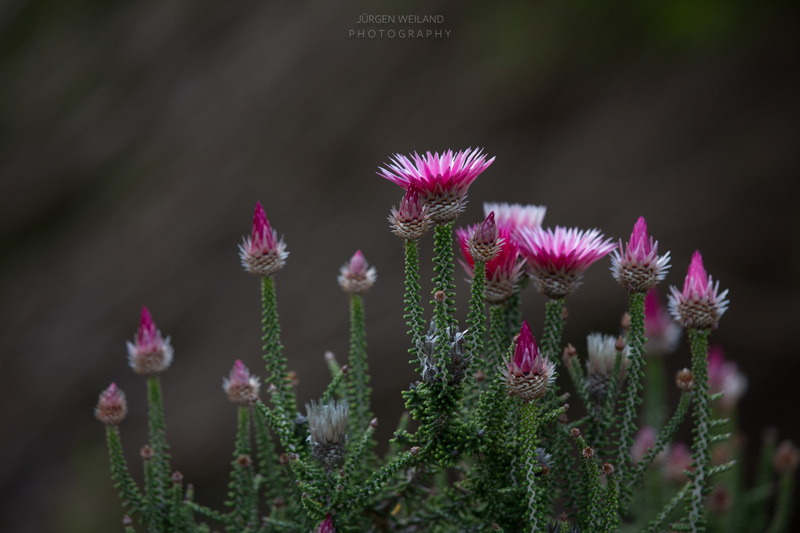 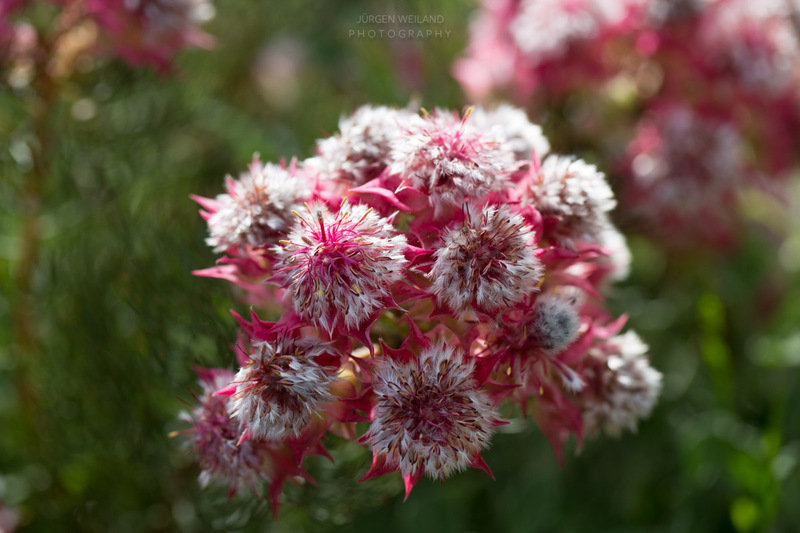 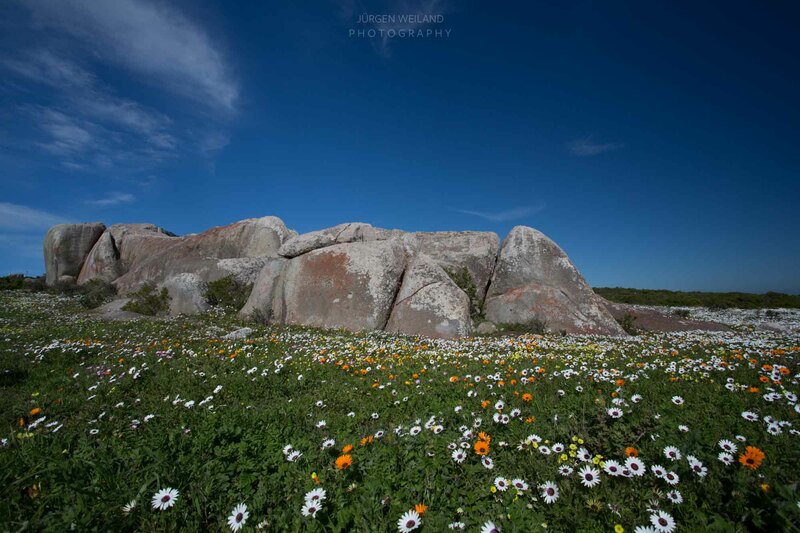 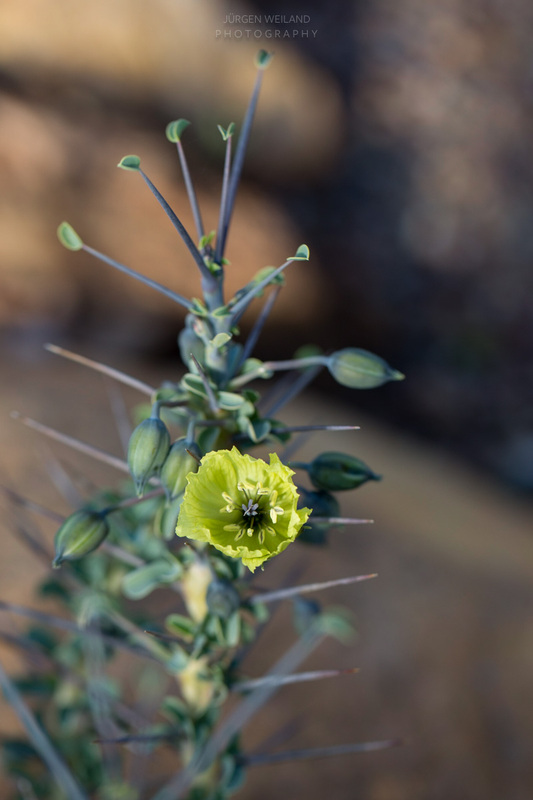 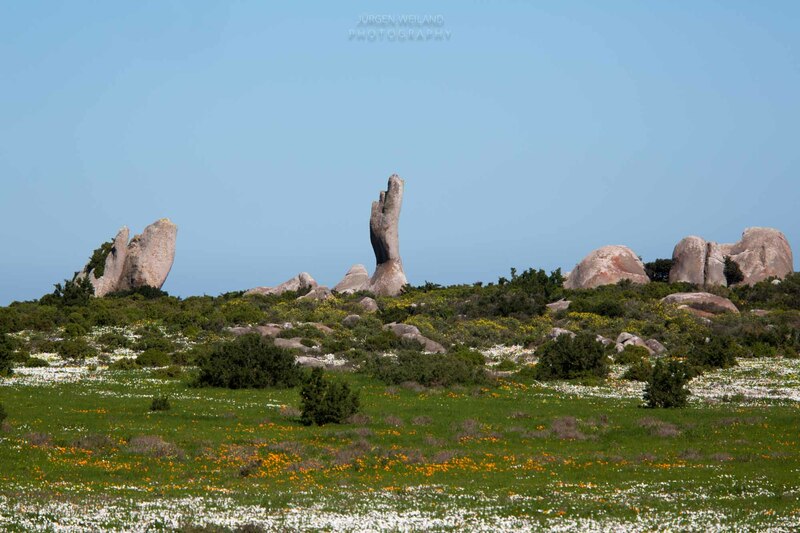 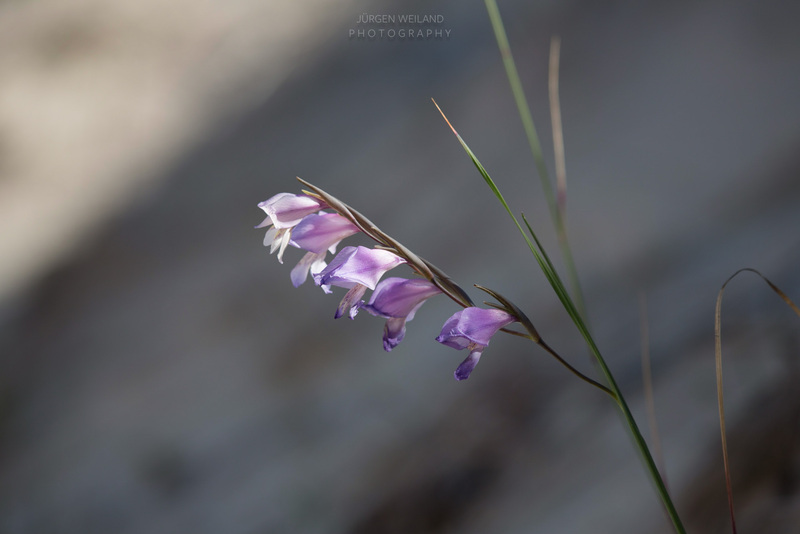 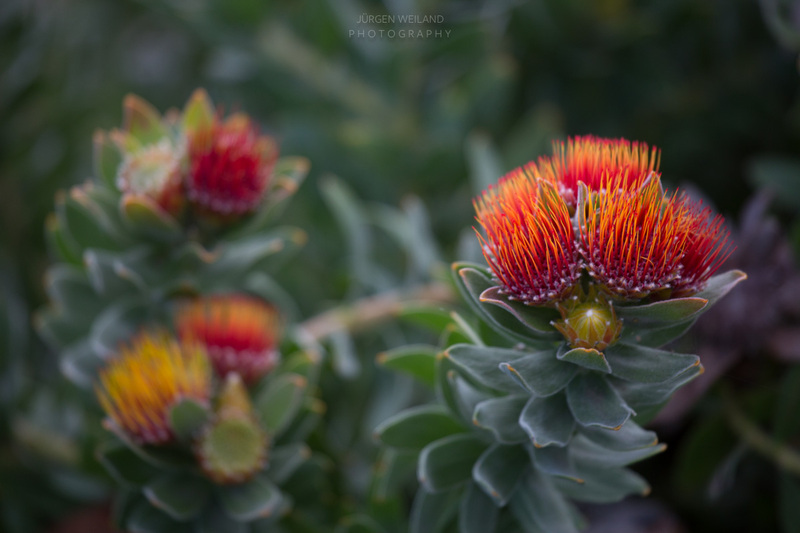 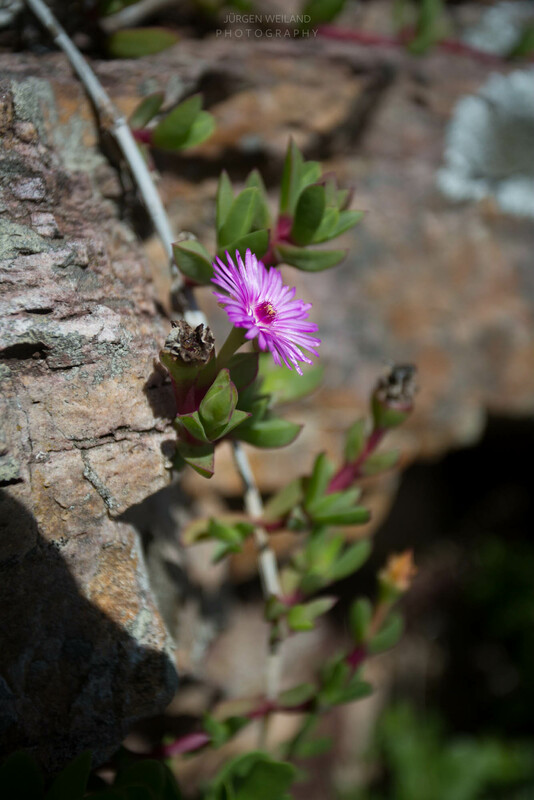 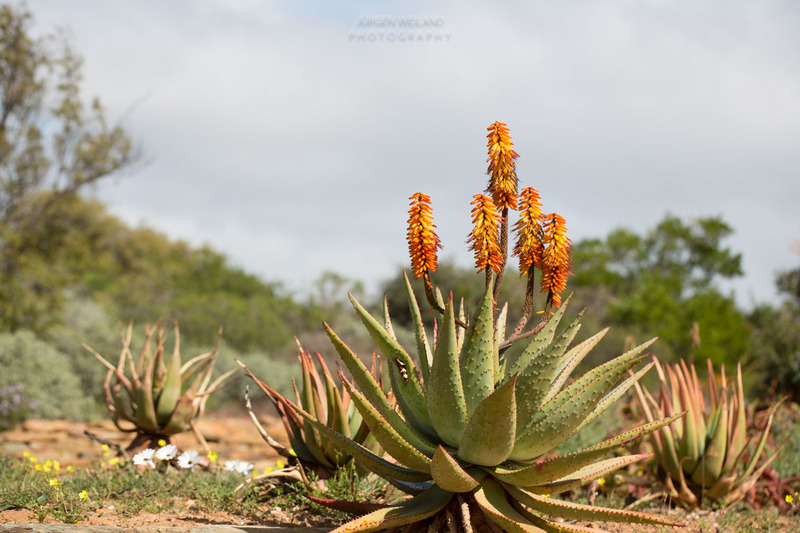 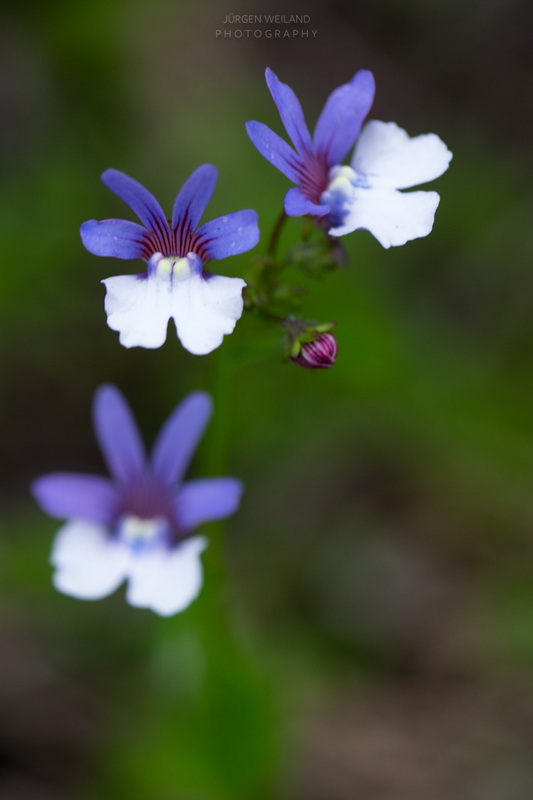 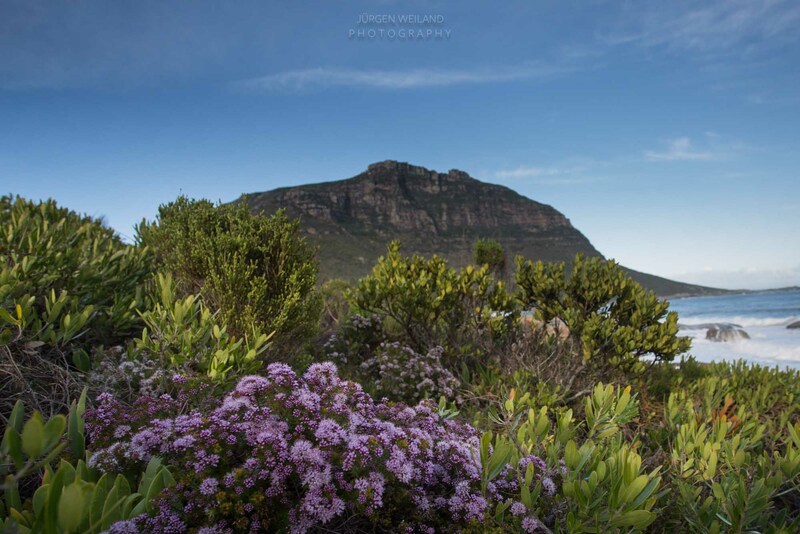 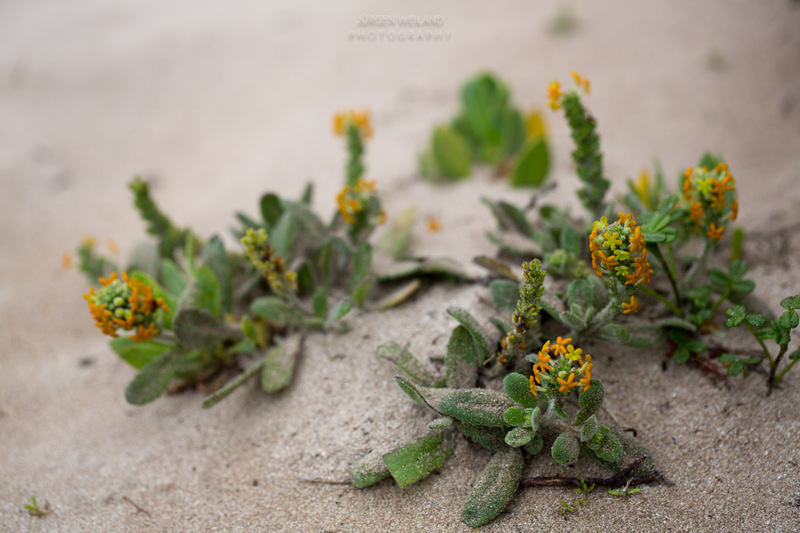 Images above: special flowers along my walkway from Cape Point to the Cape of Good Hope. 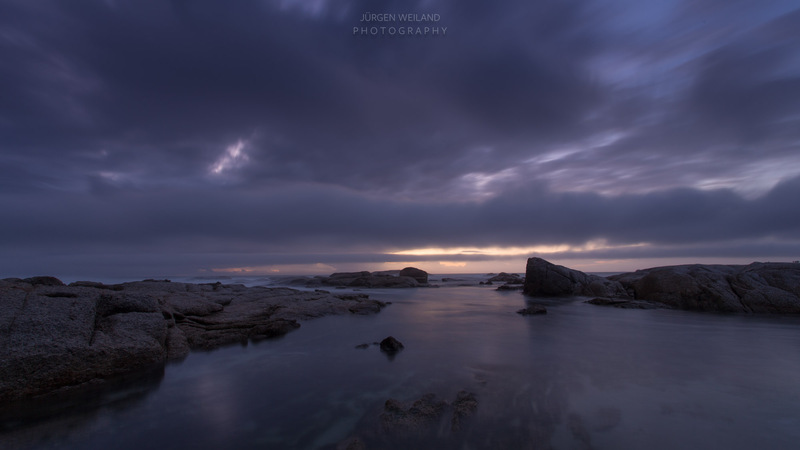 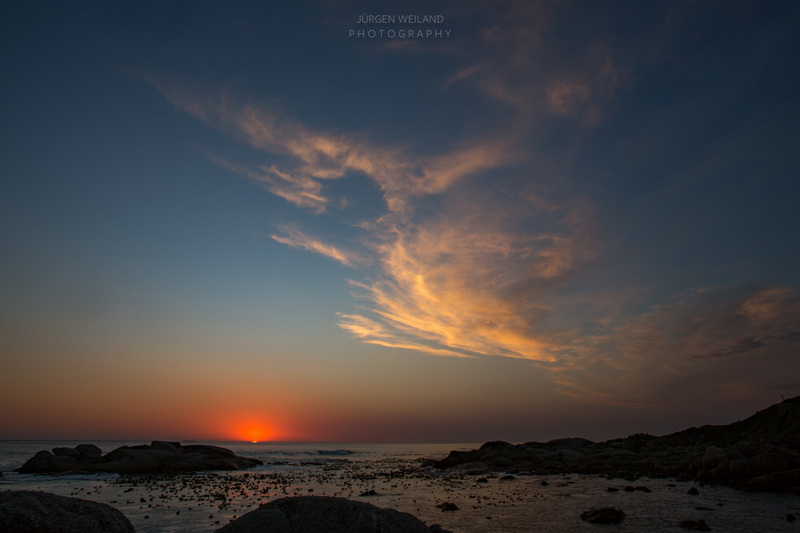 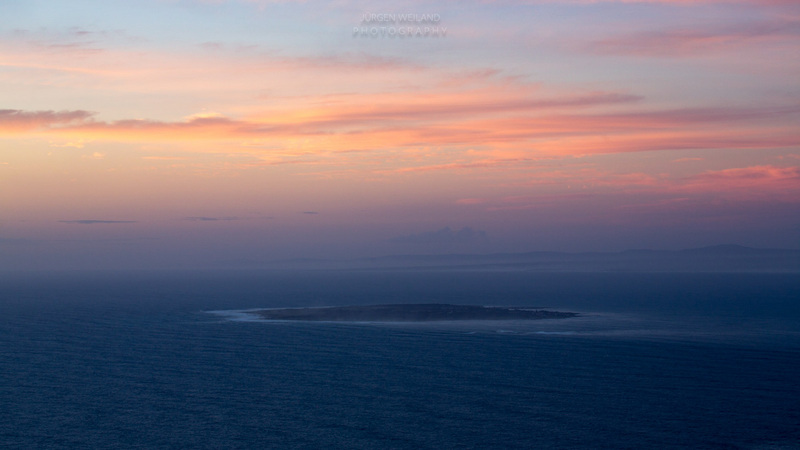 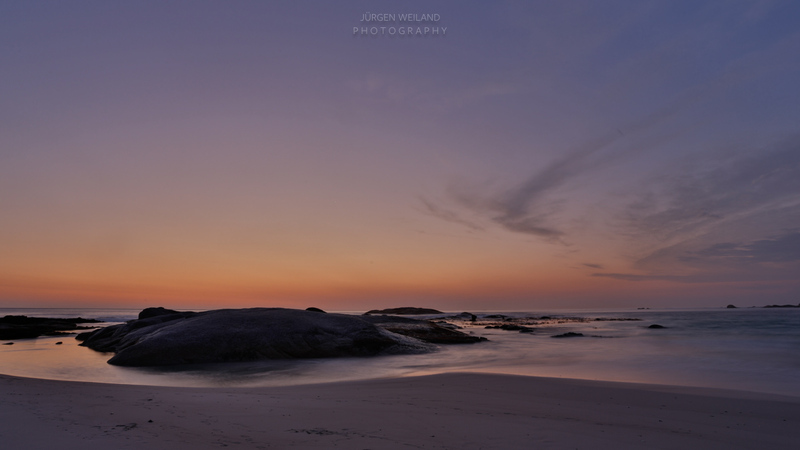 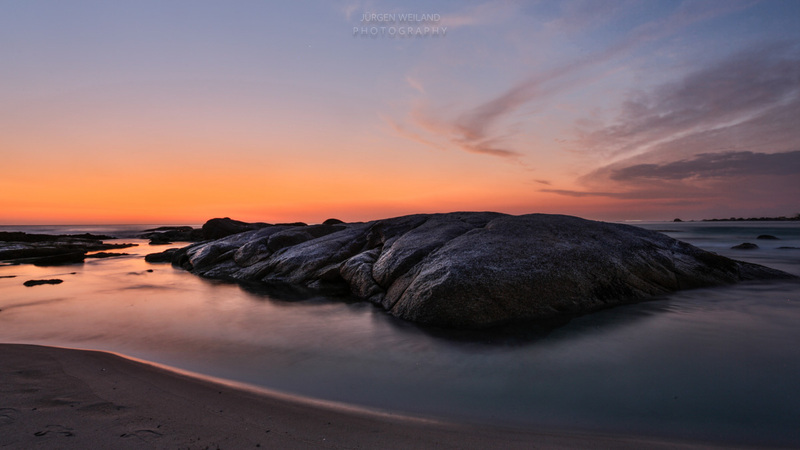 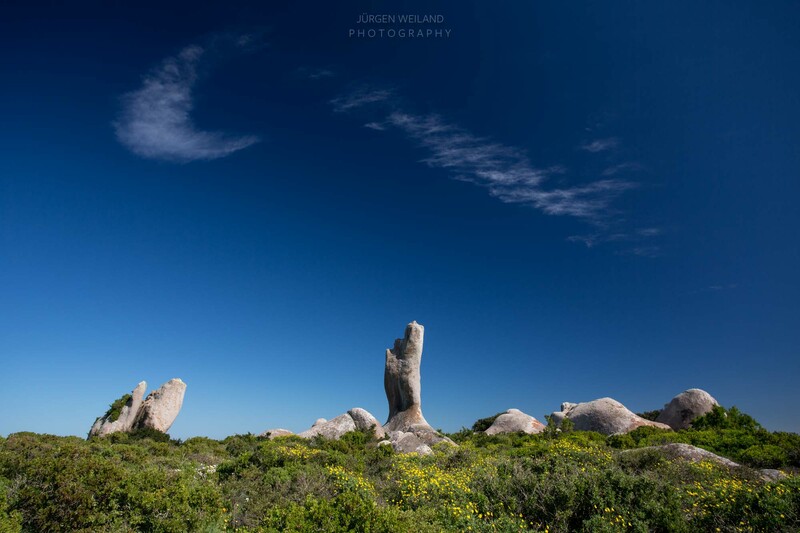 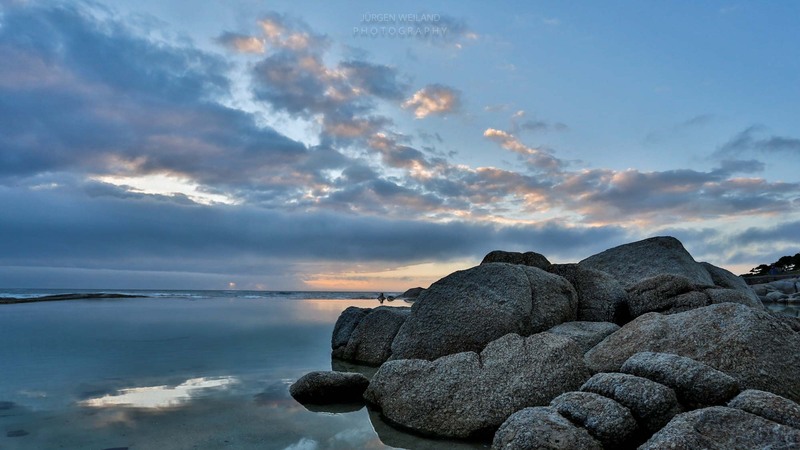 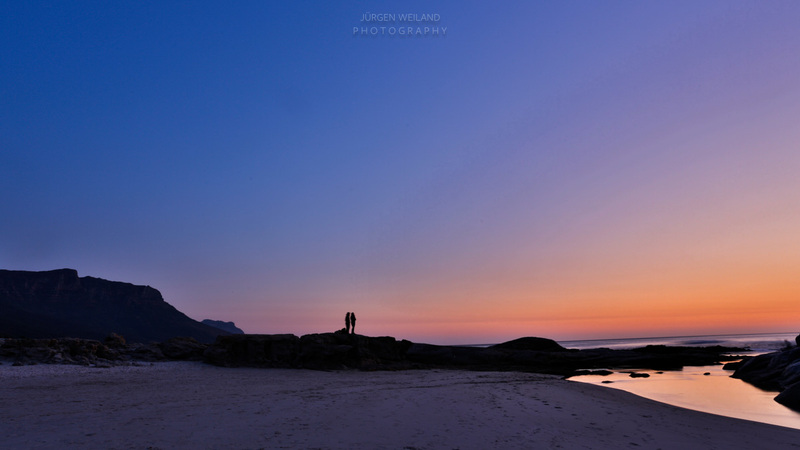 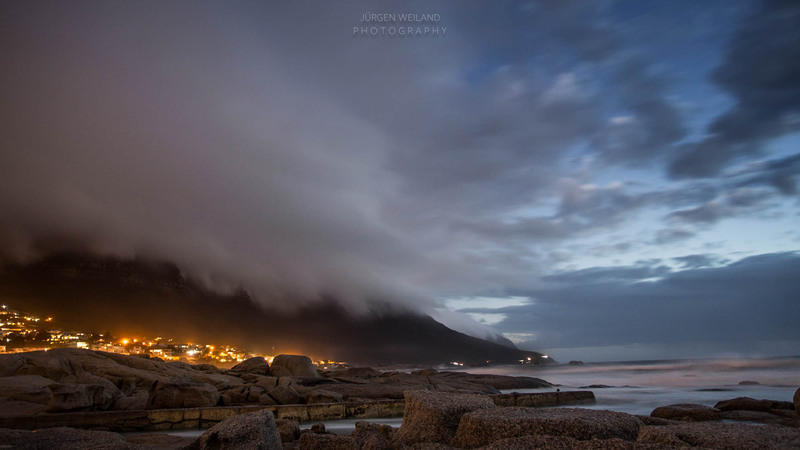 Image above: Long exposures at the Black Rocks, Cape Point. 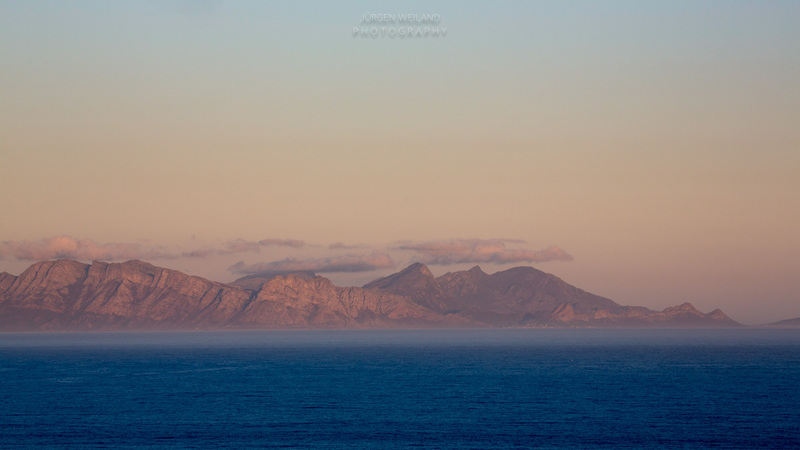 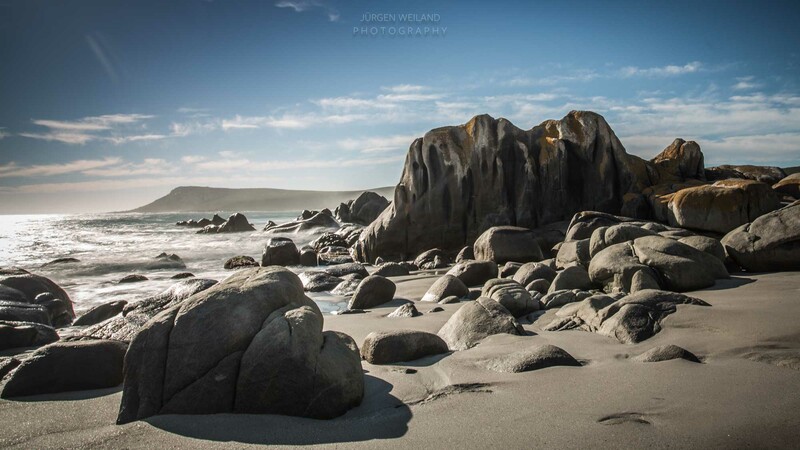 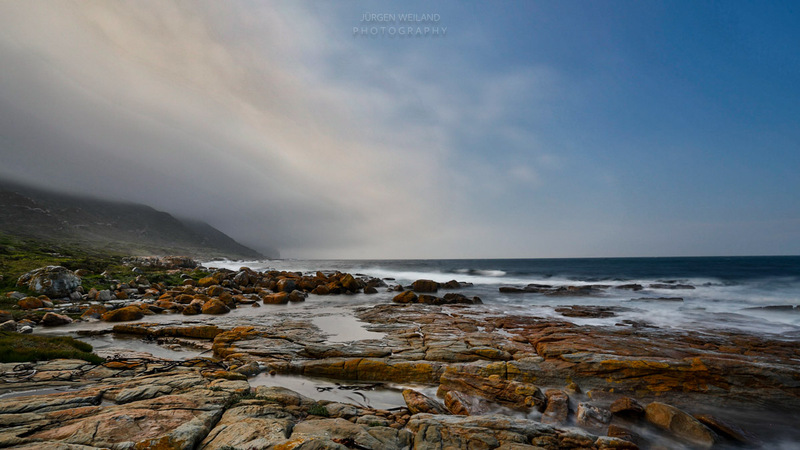 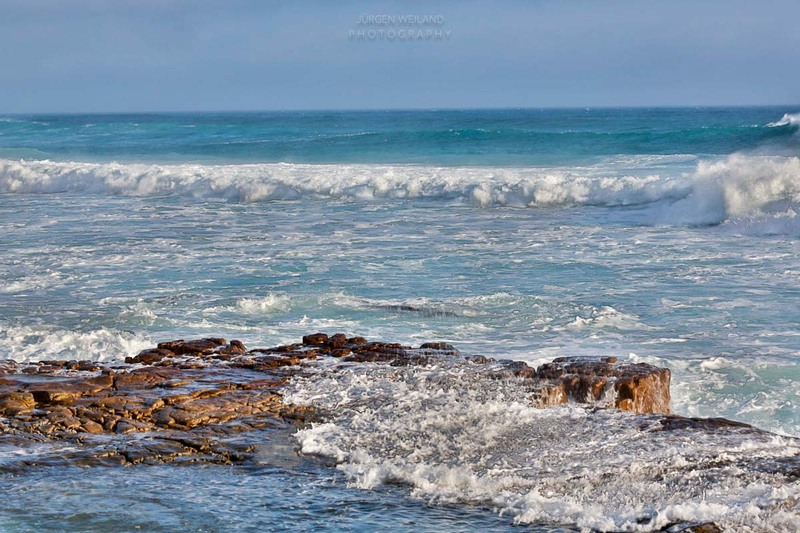 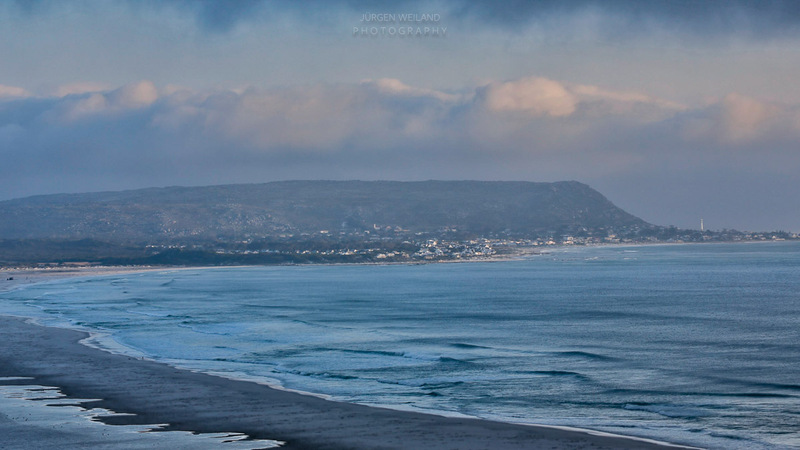 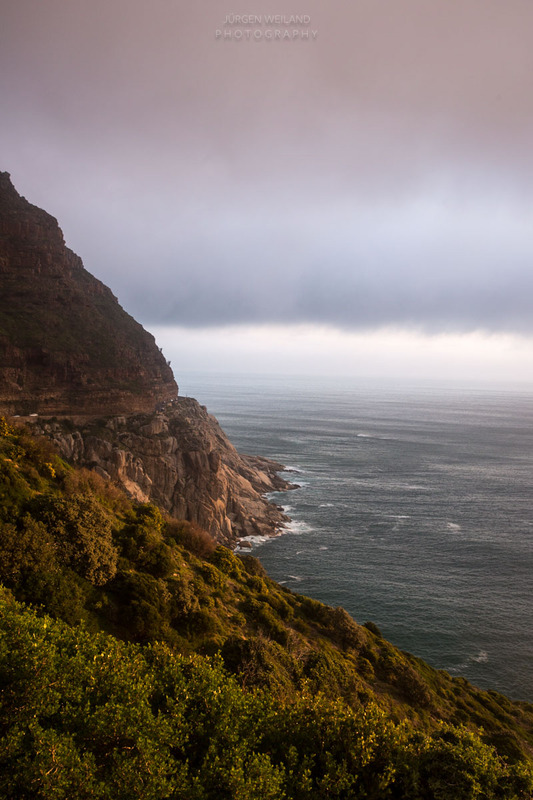 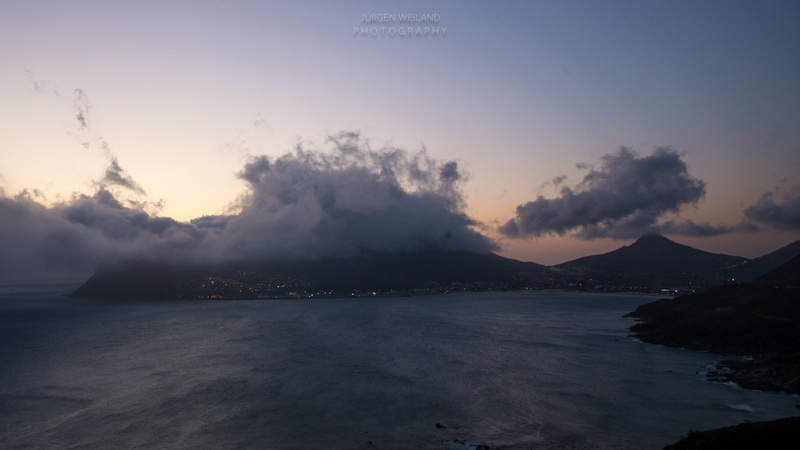 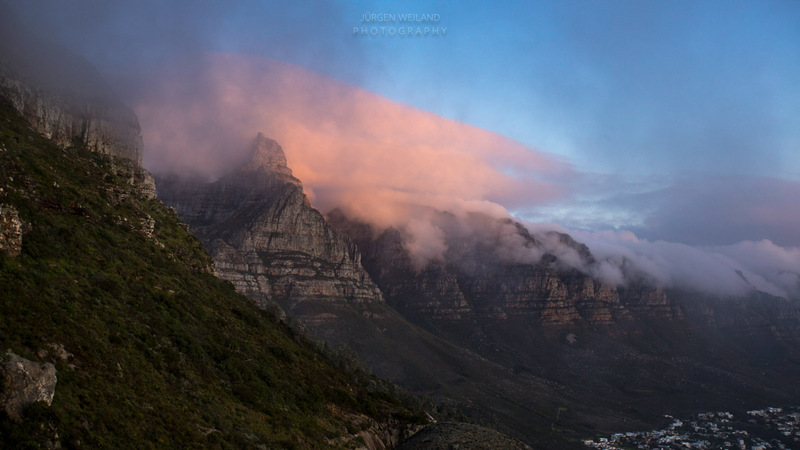 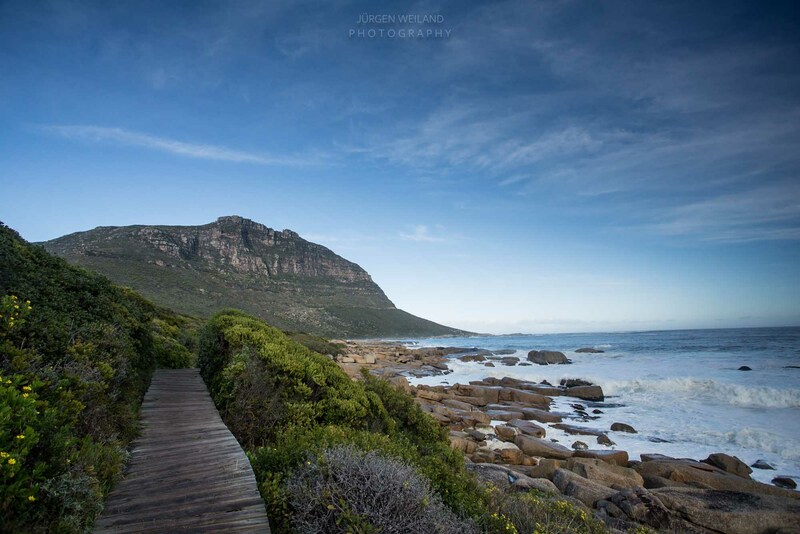 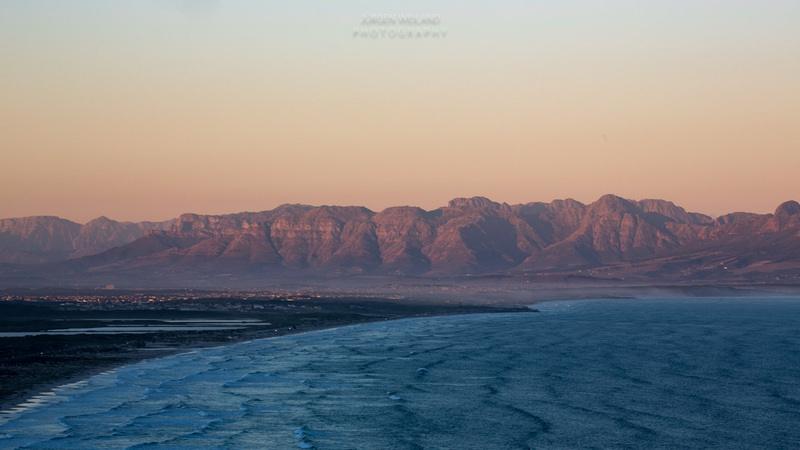 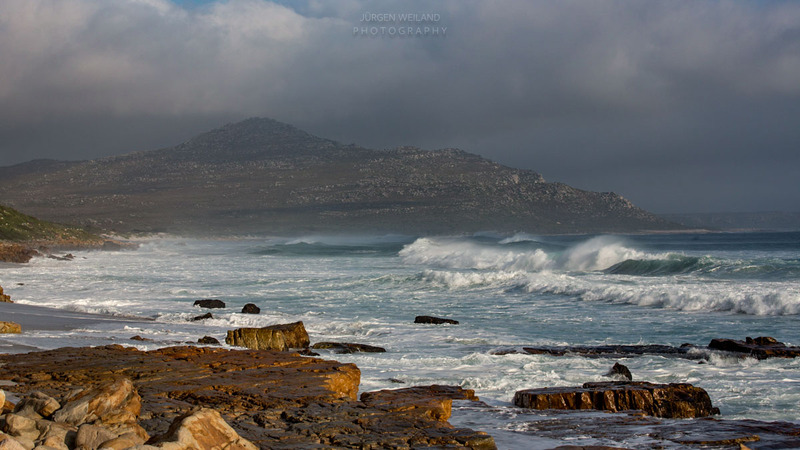 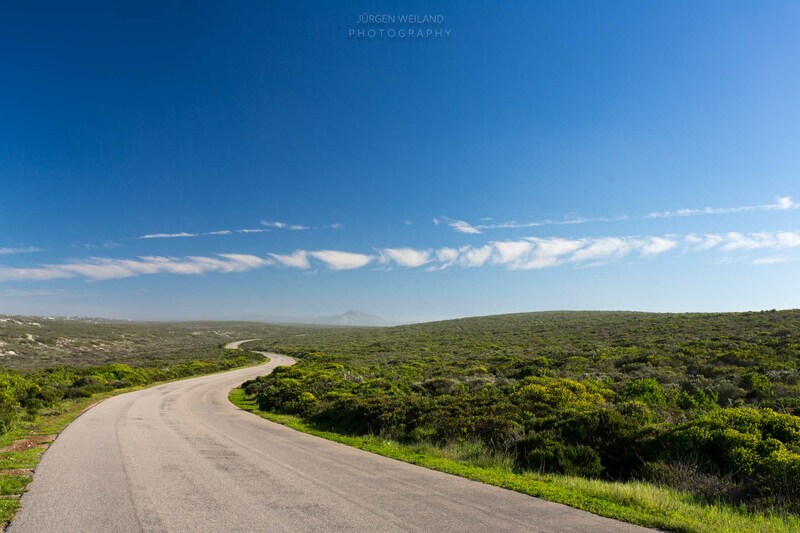 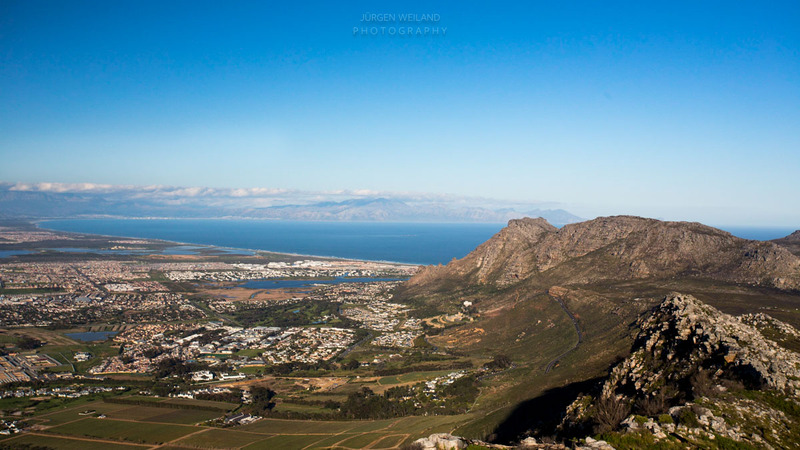 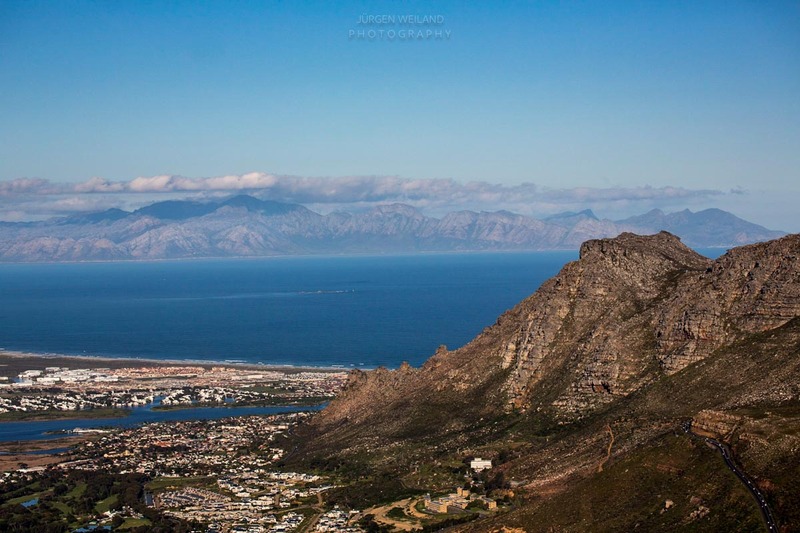 Image above: Misty Cliffs on my way back from Cape Point. 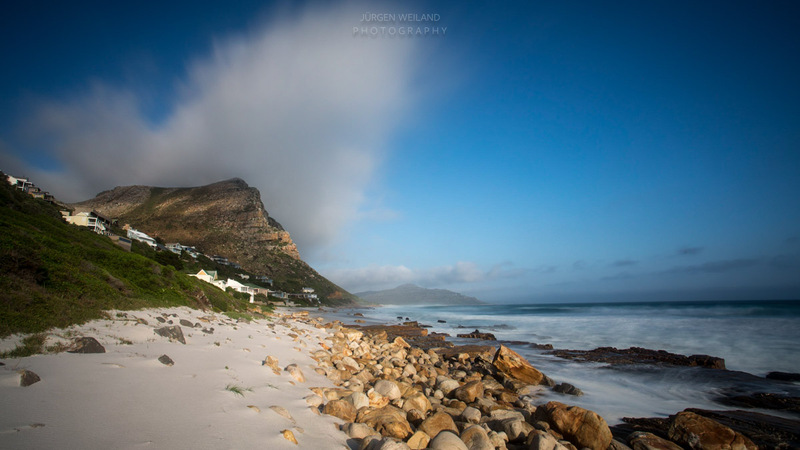 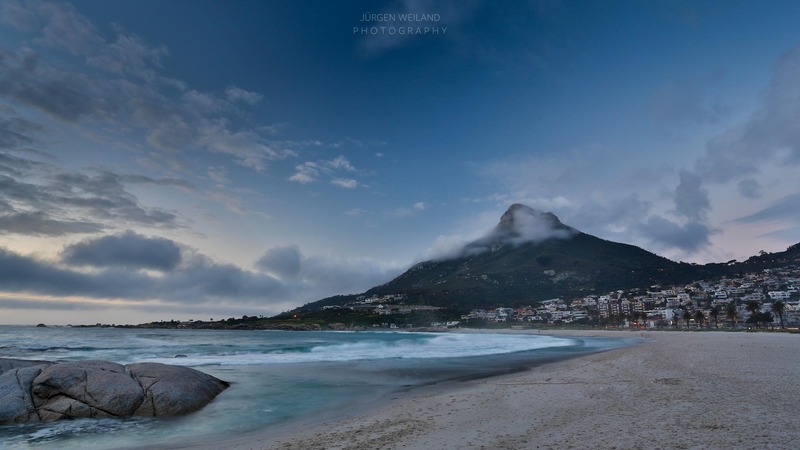 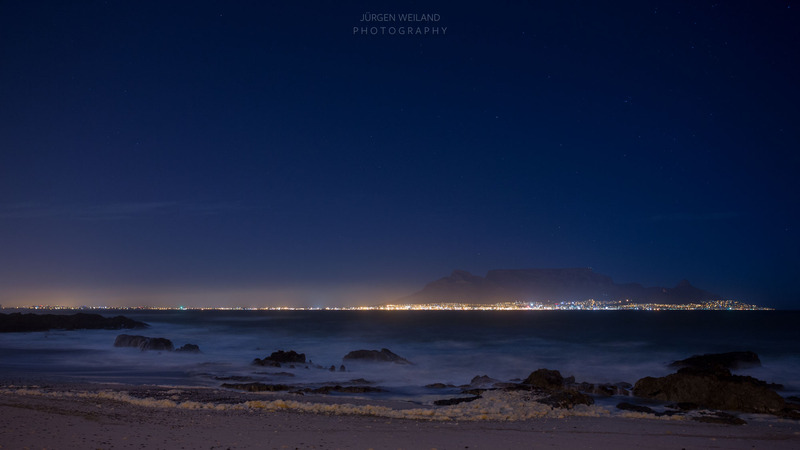 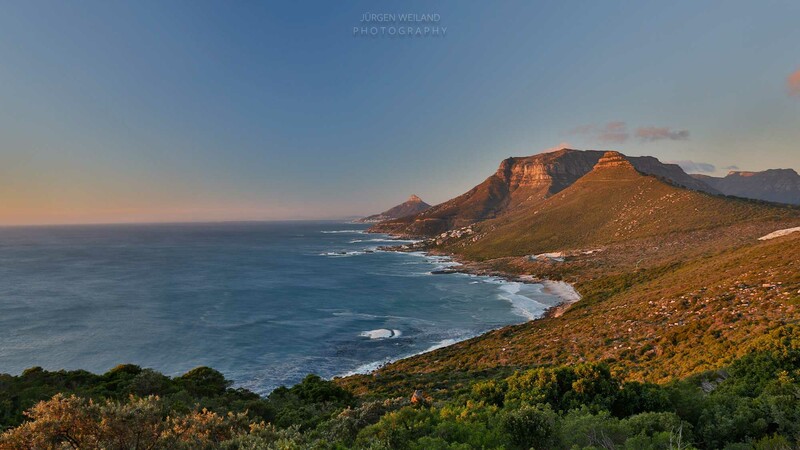 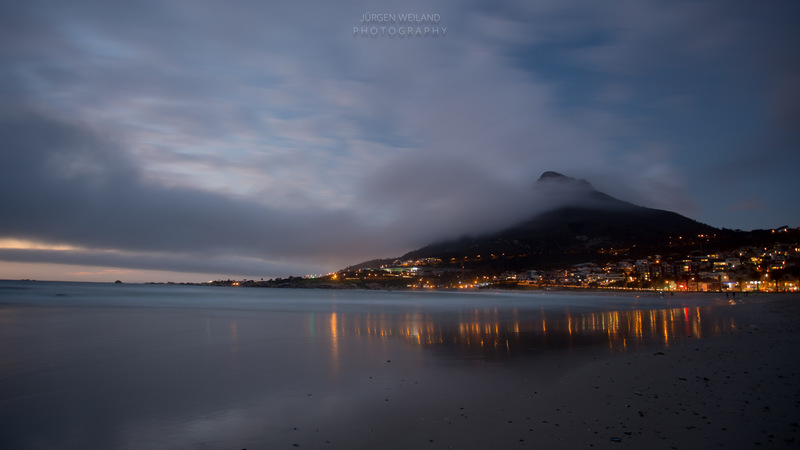 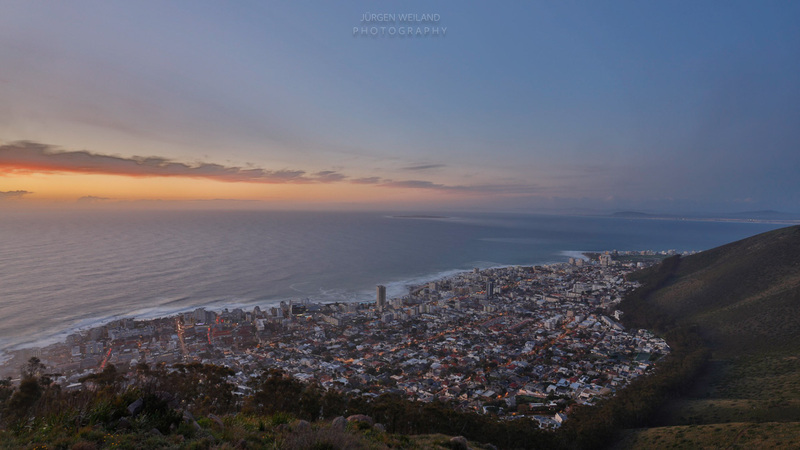 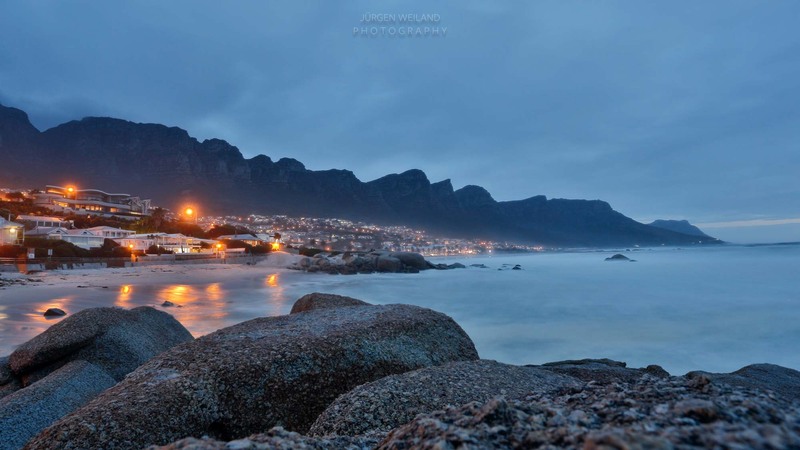 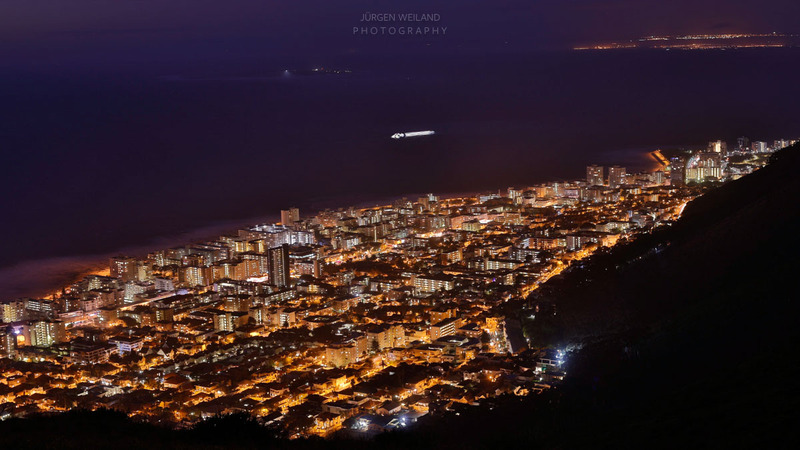 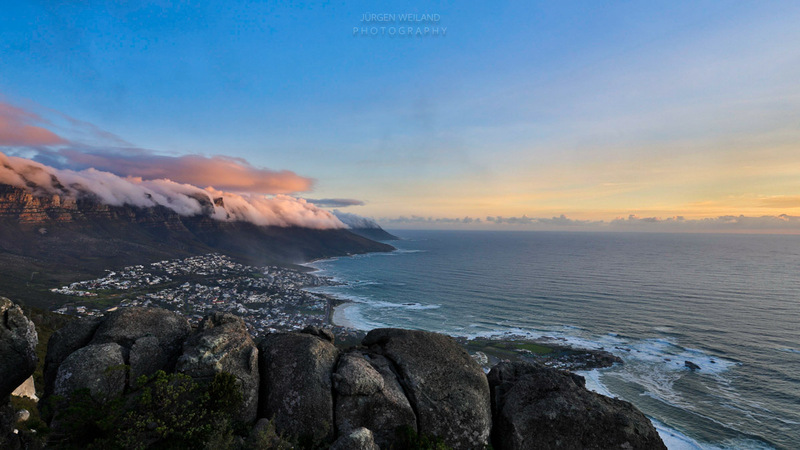 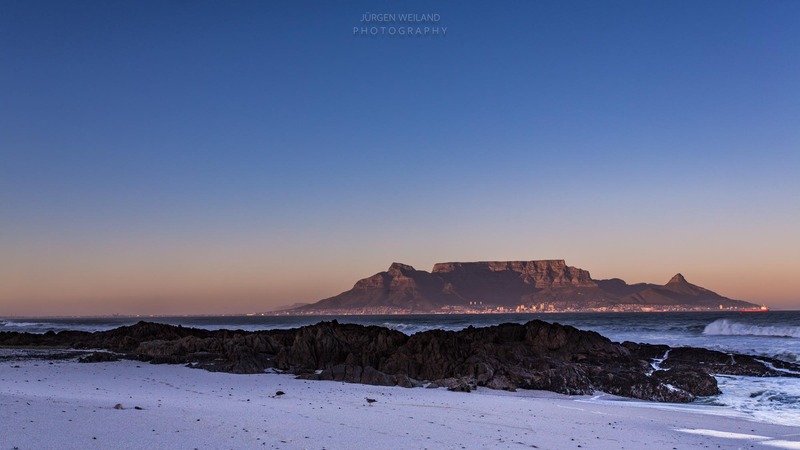 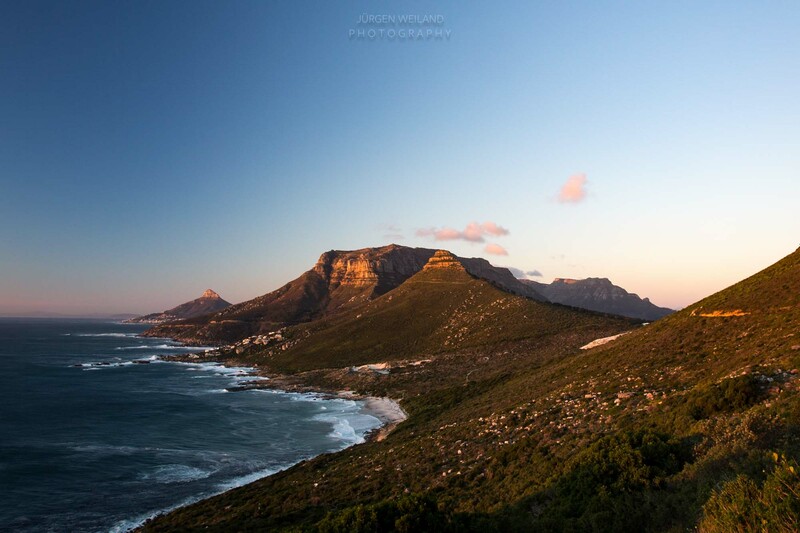 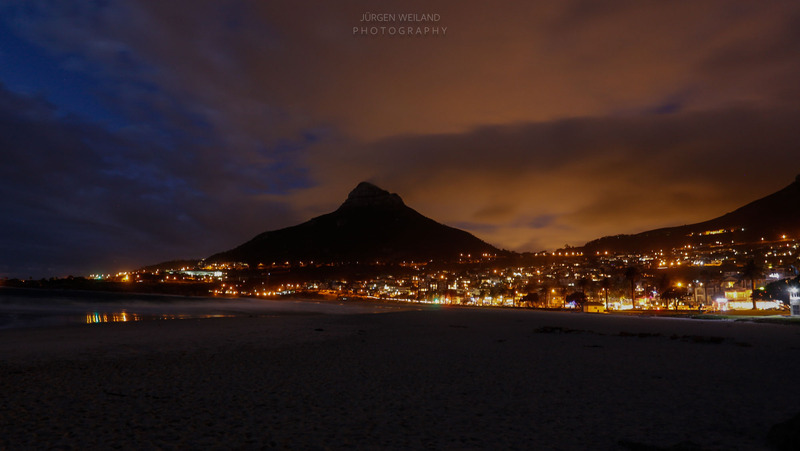 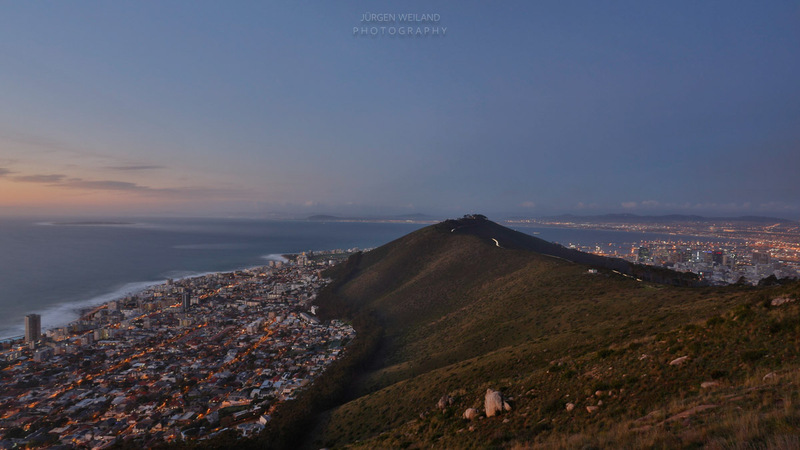 Late light at Camps Bay, Lion's Head and the "Twelve Apostles"
Now I am looking forward to teach the „Concept of Evolution in Homeopathy“ in Cape Town on the upcoming weekend and hopefully I’m able to find some magic light and moments for capturing the beauty in the Western Cape.